Home » Blogs » asj's blog » Is BRTS right for all cities? I am aware that much needs doing with regards enhancing public transport in all Indian cities. What I am not convinced is whether all cities should have a BRT. Could there be simpler options that are more cost-effective? My answer to this question is a 'yes'. Again because I have studied and also writtent to Pune authorities, I make an example of Pune. The reason for sharing this is to help avert similar mistakes elsewhere. In Pune, almost a dozen roads are identified as BRT routes (most need expenses on road widening first). Oddly the Average length of BRTS routes in Pune = 2.8 miles or 4.5 km. It does not need a genius to understand that BRTS is about speed and reliability. If one travels 8km at 30 km per hour it takes 16 minutes or 8 minutes at 60km / hour. Simple maths suggests that for short distances speed never matters. So for 4.5 km by buses travelling at 60 and not 30 we will save 4 minutes only. The BRT routes in Pune are dis-continuous and spread out. Thus to get to a BRT route (or travel in between two BRT routes) one needs using good old broken down PMT or travel in ricks. Strangely in Pune, over 50% of commute on 9 out of these dozen odd identified BRT routes is already on PMT buses!! Further, BRT models vary and we seem to opt for buses plying in the centre of the roads rather than periphery. This is costly in many ways. It means needing investment in overhead walkways or subways. Unless you re-design the south American model, you will have buses with doors to their right (useless on all other routes). These two points suggest that money should first be spent on reforming PMT and not BRT. JNNURM money is given with precondition of reforms and can be used for any purpose and not just BRT. A BRT without a good basic bus service netwrok covering non-BRT routes is useless. This makes Mumbai a city which is ready for BRT thanks to its superb BEST service. Yet, Pune, a stones throw away have refused to study the BEST model. Equally Mumbai is best suited to gain from using cost-effective London model where bus lanes are in use on each road with an ability to have them. This is in contrast to 100m wide roads which are a must for BRT. Readers will see that there are many models experimented and in use in UK (and indeed worldwide). Pune made the mistake of commissioning feasability study of BRT in Pune. The question asked should have been - which model will best serve Pune? Trust this helps those interested in different models of public transport. Other views and opinions are welcome. Money saved is money earned. Though our economy is growing, this vast country with a billion people have many other needs - education / healthcare to name a few. Grand projects (like may ill planned flyovers) should be welcomed with great caution as money will be needed in areas other than infrastructure. asj sir thanks for this. will get back to you later. from my early reading i remember reading somewhere that there was a segment starting at swargate and heading south from there. but the north arm disappeared in the pet area(shukrawarpet?) and then resurfaced somewhere else. both options involve lot of litigation and resistance = RsRsRs. connecting swargate to deccan via shukrawarpet is the most natural of corridors in pune. say on shukrawarpet road you install rising bollards, the businesses on that road will go hammer & tongs. in bangalore we have a nandigram type of situation developing on CMH road, where less than 50 properties out of 2000 on the road are to be acquired at true market rates for metro. in mumbai, on poddar street the nightingale sang in protest, IIRC. this will repeat ad nauseum, in city after city. our cities are not designed nor do we have governance systems to implement all these western systems without some changes. we cannot do a monkey-see-monkey-do natak like they did with that brt line in delhi. here we confuse street network to arterial network. and use the street as an artery and the artery like a street. actually we have no arteries. we only have streets, irrrespective of how wide they are because we have no zoning. here the arteries are not merely painted thick, the network is only connected to the rest of the network at some points, otherwise the arterial network and the capillary network are physically separate. in the broad category of technologies i see, only mono seems workable without widening or rezoning. it is costly and does not have the capacity of metro. but it has better capacity than buses & if you factor in RsRsRs for widening & rezoning, mono cost will prolly rival brt cost. it looks like mono needs very little space and physical altering. and perhaps, in the 21 century that is the price we have to pay for the luxury of harboring 18th century practices. BUT, if i had veto powers, i would still veto mono. It is proprietary technology. Even the width of the single track is not standardized, forget trains & carraiges and fuel & drive systems. world over there seems to be no movement in trying to standardize any aspects of mono. so foreign companies, are ruled out in my book (royalities). perhaps if indian railways can come up with some standards, if not technology, then mono will fix all problems. (that skybus is a bit shaky.) i would make laloo my family diety and gopalganj my mecca, if makes for some funds for a serious look into standards for metro and incubates desi mono R&D team. can you tell us about organization of all these planning & execution in pune? how much local expertise do they have with respect to urban planning transportation planning and so on. and how the different planners are structured. Dear asj, are you from/based in Pune? If yes, then could you help us start a Pune subsite (as in pune.praja.in)? I fully agree with you TS. Monorail is a very good technology. There are people who love different technologies and promote it the most without actually thinking how it applies to our scenario. Somehow, in India, there are too many monorail haters - They say we want Metro itself which is a costly affair on the other hand the universities and bus manufacturers promote BRTS / HCBS. As shown in you pictures, it occupies such a small foot print and can even run on our foothpaths. Also, there are BO0T operators ready to implement it without government cost. These monorails are environment friendly and has got reasonable carrying capacity of 300 people like the Tokyo Monorail. As you said, there Indian Railways or atleast Konkan Railways type of organizations should come up with a monorail prototype for Indian cities instead of proprietery foreign operators. 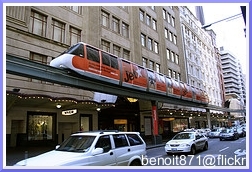 Skybus is nothing but single bogie monorail, instead monorail with multi bogies is much better. NEW DELHI: Residents of south Delhi can expect more road woes from Sunday, when the trial run of the pilot Bus Rapid Transit (BRT) corridor between Ambedkar Nagar and Moolchand will finally start. This would mean that all buses plying in the corridor will be allowed to run in the bus lane — positioned in the middle of the road — and the rest of the traffic including cars, two wheelers, autorickshaws and trucks will be confined to the Motor Vehicles lane. A separate track has been provided for cyclists and other non motorised traffic, while pedestrians have footpaths and special signals to cross the road. Delhi Integrated Multi-Modal Transit System (DIMTS) officials are expected to reach the site as early as 6 am to test the system as the lane segregation will start shortly after. An army of traffic police officials will be present on the corridor to "discipline" motorists on using the correct lanes. The drivers who have undergone the special training will only be allowed to drive Blueline, DTC and school buses plying on the corridor. The people have been urged not to hang on the footboards or keep their heads out from the windows, as this could prove to be fatal. The trial will continue till the corridor becomes operational in May. In Delhi, there is lot of opposition for this BRTS trial run. This is a 3 lane road on either side ( 6 lanes totally). 1 lane on each side is occupied by this Bus Lane. This is a very much feasible option for BRTS. Some people, who are regular users of Buses are welcoming the move, but, the car users, who always oppose these kind of "public transports" are opposing saying it is "unscientific" etc.. What is scientific then? Media people, who are also "car" users are not supporting this. As mentioned elsewhere previously, our cities' requirements do not have a parallel anywhere in the world - the situation in south asian cities is quite unique, & Indian cities are even more complex, given that we have a very large mix of various societal groups - from the richer car owners to the very poor unskilled labourers, all in very large numbers, & growing with more & more job creation. Existing BRTS models in various cities overseas have been successful because users are not as diverse - the 'one size fits all' assumption cannot apply here. Expectations of the urban poor is a public transport system that is minimally priced, whilst there are various higher groups that look for better quality, time saving, convenience, etc. at a higher price. Given this nature of transport expectations, it is doubtful if the models in operation in other parts of the world will be worth emulating here. They may prove very expensive to run & service whilst users may not be in sufficient nos. since providing good connectivity may be extremely difficult in all parts of a city, with severe road width restrictions. At the moment, in some cities such as Delhi, Mumbai & Bangalore, there already are better quality A/C buses in operation, catering generally to higher income groups. It might be far better to work on a system that provides priority at signals for all public transport buses (AC buses as also other low quality types), to start with. The evolution of an 'Indianised' BRTS may have to begin in this manner, & not by trying to apply the same principles used elsewhere, however successful they may have been there. Traffic chaos continues on BRT corridor 21 Apr 2008, 1328 hrs IST,PTI times of india NEW DELHI: Traffic chaos on the Bus Rapid Transit (BRT) corridor in the National Capital continued for the second day on Monday during its trial run as vehicles moved at snail's pace due to operational problems. Traffic snarls were witnesses along the 5.8 km stretch between Ambedkar Nagar and Moolchand in South Delhi, the first BRT corridor in the capital, as commuters were "confused" about which lane to select for travelling. While all buses plying in the corridor will operate in the specified lane, the rest of the traffic flow, including two-wheelers, auto-rickshaws, cars and trucks will be confined to the motor vehicle lane. The three-minute-long signals on the intersections also added to the chaos as a large number of vehicles were seen at any given time at the signals. A large number of vehicles poured into the streets with offices reopening after the week-end break, adding to the woes of police personnel managing traffic on the corridor. The traffic tripled on Monday as compared to Sunday when the trial run began, creating more pressure on the roads, a police official said. "There were some signal and signage problems, we are working out on its synchronisation with the traffic movement," an official of the Delhi Integrated Multi-Model Transit System (DIMMTS) said. The trial run will continue till the corridor becomes operational in May. One of the Bus Traveller reports about the Delhi BRTS. It seems lot many are confused including media on how to use it. This added with disciplineless driving has made the stretch filled with chaos. But, the buses are travelling hinderlessly whereas normal motor traffic is suffering with chaos. Good for bus travellers and good way of promoting and making people think twice before using their vehicle in this corridor!! DIMMTS will continue BRTS trial operation till May 1st when it will be officially thrown open. Why should Government waste such huge money and dismantle? When the buses are passing hinderlessly, it is a good move. There will be always pressure by car or 2 wheeler users as well as from media and bureaucrats who doesn't want to take up public transport. Government should not Succumb to the pressure and achieve what it is aiming at. Please find some of the pictures of the BRT Chaos. it makes my heart sink. I am in general an optimist but whenever I see a half-assed effort of implementing something nice, I really cant hope too much from these folks. If you are implementing BRTS, then implement it with full force. Catch those scooter/bikers in the cycle lane and slap a fine. Same for those getting down between stops and those crossing streets. An implementation like this is no better than not doing it. And it only helps to build an opinion that BRTS would not work whereas it is the peole who implemented it are to be blamed for its failure than the idea itself. I know they are short on people but I hope that one fine day someone important reads my earlier post and solves all the enforcement problems. Is this really suitable for a BRTS? When you see so many buses together - longer than an MRT train, you need to wonder if the density is too high for a BRTS and more for an mass rapid transit. Agree with Shastri - these give good ideas a bad name. i got carried away. but if i think about it a bit it appears that #1. need to give it time to mature and iron out some of the deficiencies. #2. need to give it time for ridership to mature and the network to mature these things have to go directly to production from design. the testing is live. if i think about it a bit, it is not surprising that there is so much chaos. a few days ago there were p number of people using private vehicles and b number using buses on that road. today all that they have done is they have segregated traffic on that one road. today it is just bus lane, a part of the brt. it is not the complete system. i bet ridership levels have not transfered at any level of significance. yesterday, there were p number of people using private vehicles on that road. ditto today. so obviously, the private vehicles are squeezed out. how many people have shifted to buses? and how many can be expected to shift based on just 1 link? rider ship has to evolve. the regular buses seem to be visually full. how about the corridor buses? what was their occupancy? why are there no pics of interiors of the corridor buses, in this report by the masthead of journalism? where there people hanging and getting off corridor buses? plus all the images shown are at the intersection. have there been any improvements midblock? intersections are important and will prolly take a few iterations before they find the sweat spot wrt signal timing, flow control and all that. but in the long run, they prolly have to revisit the design again. regular buses are plying the road too which means this road is an artery. obviously they need a slip lane at the stops and allow non-stop buses to pass by. also it might be that this corridor needs a large capacity mode. it might be that this road is a natural artery and inherent levels of private traffic on this road is very high so more than 2 lanes may be needed. need to wait. We better get our public transport act together quickly. Oil which was USD65 April last year is trading at $118.37 on NYMEX (New York Mercantile Exchange). It was about $35 in 2005. Even TOI covered this today with a post from Paul Krugman (NY times resident economist). The USD has not depreciated by as much. Tarle - have had a bit too much work to do too much on this topic. Check out www.wolfatthedoor.org.uk for a primer on peak oil. Gasoline in the US is $3.50 per gallon - more in CA ($3.80). Hitting the Rs.40/litre mark in the US - could you imagine that? Even the king of Saudi Arabia had this to say that "let's leave some of the oil for our children and grandchildren". This was in response to constant pressure from Bush and Cheney to pump more oil. (Crude oil production (all liquids) has stayed flat at 87 million barrels a day from 2005 inspite of rising prices). When the king of Saudi Arabia says this, y ou need to sit up and listen - no? That is a common misconception. Oil wont dry up. But we are probably seeing the end of cheap oil. Notice how OPEC no longer talks about $35 being the "right price" which they did in 2004 and 2005. The right price keeps moving up and is now about $90 - that is if oil ever falls below $90 they will cut production. 1. Normal buses plus private buses allowed in the BRT corridor. 2. Door opening. Ideally, door should open to the right on the BRT corridor, normal buses open left of the corridor. If we get down the bus, we will not land in bus stops, we will land in the motor lane. 2. After too much pressurization from the public, taxis were allowed in BRT corridor. Even it was thought to allow 'Autos' in BRT corridor - Hats up Indianised BRT. 3. Just don't put stones to prevent vehicles to enter into BRT corridor. 4. Bus actuated signal which failed completely. 5. Most importantly public misbehaviour and public's non-co-operation and no will to use Public Transport. 6. Pressure from politicians, bureaucrats and VVIPs who are not willing to use Public Transport since one of their car lane got disappeared. 7. Absence of Sky Walks to enter to the median of the road. Pedestrains has to walk till the next Zebra Crossing and there too they are not assured they will be able to cross because of no pedestrain consideration by the motorists. 8. No proper feeder service. 1. Special BRT bus is low floor CNG plus electric bus with good power equivalent to 230 HP almost equivalent to Volvos. It can speed up upto 100 kmph if properly used. Electric / CNG as the fuel will reduce the pollution. 2. Ideal concept is being tried to encourage Pedestrains, Bicycles and Public Transport. But, getting succumbed under pressure. 1. Have transport hubs at the beginning and end of the corridors where people from normal bus change to special BRT Bus. Do not allow any other buses into the Bus Corridor . Allow only Ambulances and Police Vehicles. No VIPs and their sons and daughers and son-in-laws etc.. This special BRT bus should open on the right side, not on left side. 2. Have 2:1 Non A/C and A/C buses to attract different class of people. 3. Have big welded structures to prevent cars, bikes and pedestrains entering the Bus Corridor. It is just like it is in front of our Railway Station. 4. Bus actuated signal is a good concept, but, since it is not working properly, just forget it. They can use Magic underpasses to allow only Buses to Cross the intersections. 5. Put heavy fines on the offenders who enter BRTS. Cancel the license itself. 6. As I said, people are not willing to come out of their cars or get down from their 2 wheelers including Politicians, Bureaucrats, VVIPS and media people. There will be full pressure to dismantle the project. Don't succumb. TOI which starts 'UnlockBangalore' like campaign and says many things about infrastructure, is bombarding against the project. NDTV 'young lady reporter' was reporting 'it seems Government is encouraging people to use only Buses instead of vehicles' - What is BRTS madam? How did you get job in NDTV and how NDTV allowed you to report this BRTS News? Media men do not know anything about ideal transport, they want to give instant news without proper content. Do not succumb. 7.Have skywalks every 100 feet and with elevators at least in one or 2 skywalks for aged and disabled. 8. Have good feeder systems to the BRTS hubs. 9. Have Public Information System in the Bus Stops along with mobile and internet tracking. 10. Easiest way to reduce the vehicles on this road, put Tolls at the entry for the vehicles. Have a mutlistoried parking at the beginning and end of corridor. Motorists have to pay toll and use their vehicle, or park their vehicle and use Bus. This is the initial week of the trial run of the project. It cannot be successful overnight as bombarded by the media. It needs time for stabilization and capturing the public. Metro is already present in Delhi and is expanding. BRTS along with Metro is a good combination. Normal Delhi DTC buses is very poor. Our BMTC is far better (I may be victim for many of my fellow writers for saying BMTC is better). Times of India is clearly a double game player. It starts campaigns such as UnlockBangalore etc and calls many top delegates who always say but never follow to use public transport. Today in Delhi Edition, TOI is saying that there is financial benefits for IIT professors from bus manufacturers and hence they are pushing BRTS. NEW DELHI: As questions are being raised vigorously by citizens' groups, traffic experts and MPs across party lines over the controversial BRT corridor, what seems to have slipped notice is that the patrons of the IIT-Delhi department behind the concept include bus manufacturing majors Volvo and Tatas. The BRT project, which has turned the lives of thousands of south Delhi commuters into a nightmare of nerve-wracking jams, pedestrian chaos, and cycle and two-wheeler tailbacks, is essentially meant to segregate traffic in a manner that provides a dedicated corridor to buses. The road space for non-bus motorized traffic has been reduced by about half. What makes the decision of the city government to appoint Dinesh Mohan and Geetam Tiwari from IIT-D's Transport Research and Injury Prevention Programme as independent experts for the project curious is that the department's patrons include Volvo Education Research Foundations (VERF) and Ford Motor Company. The experts deny any conflict of interests. Is BRTS possible for Bangalore? After seeing the Delhi Chaos and uncertainities, I feel BRTS in Bangalore is almost impossible. Delhi has got many 6 lane (3 on each side) roads. Bangalore has very few of 6 lane roads. Only I feel in very few parts it can be taken such as some part of Intermediate Ring Road. But too many change in the mode of transport will make it unviable to have Mono some portion and BRTS some portion.New Delhi being planned city is facing so much problem for BRTS implementation, Bangalore, which is totally unplanned, God knows what will happen if BRTS is implemented here. It was told it would be taken up from existing Forum Mall to Indiranagar via Koramangala Intermediate Ring Road. I don't see it is going to be possible. There is width only in Koramangala Intermediate Ring Road, but not anywhere else. Extensive Metro/Mono is the way to go with improvement of buses in the existing roads is the solution for Bangalore. awesome notes vasanth. meanwhile, here is a render of naveen's idea. this could work on the intersections where the brts buses continue on the road and donot have to turn. the underpass allows the buses to pass through the intersection. at some point before or after the intersection they can have the stops. perhaps on ORR they can try this. but vasanth, dont you think that bcoz of median stops the passenger boarding and dropping area is very constrained? if you extend naveen's idea and make two underpasses for buses on the left lanes, then you can use the full fledged footpath for stops. now that will be a truely indianized brts. btw, naveen i used google sketchup. its free. and fairly intuitive to use. although, i didnt get enough from their documents to put a bus on a slope. i have a feeling you might take fancy. I am yet to see the new Pune BRTS stretch myself, so this is second hand information. But folks there tell me that the median stop thing is a big problem. Median stops aren't the problem by themselves. Drivers' discipline, coupled with impatience of pedestrians, further coupled with badly designed or absent ped-crossing signals - these have been the big problems I hear. More resources in enforcing lane discipline, illegal curb parking and jaywalking on selected trunk routes. But not a huge cost, neither does it need big policy changes. Just needs little more head-counts. Identification of radial/trunk routes: This has been done by a few folks already. Needs minimal investment, and no policy changes. Increased frequency on these trunk routes: Investment? yes. They anyway have pending orders for Volvos. Policy changes? No. Last mile connectivity in Local loop - autos/revas/vans: now, this is the biggest deal here, but doesn't require policy change at the level of ending BMTC's monopoly or banning Autos. The Times of India is indeed playing a double game. It is unabashadly elitist and wants to protect the inetersts of its elite readers and that of its advertisers (makers of personal vehicles likie cars and bikes). Common sense says that the only solution to Bangalore's transport crisis is to increase the number of buses and to ban personal vehicles from the roads during peak hours. The govt should immediately allow private buses in Bangalore. This will draw passengers away from personal vehicles and de-clog roads. Hi Folks - Noted updates about Delhi BRTS. Snatching away available city road space in a country where Car Owners 'Lobbies' are very strong is not going to work. The authorities are merely trying to make copies of models from outside the country (very poor copies, at that) without making any changes or innovations that might work, nor applying any strategies that are called for. As previously mentioned (http://bangalore.praja.in...), (http://bangalore.praja.in...), BRT needs to be commenced in a subtle way by introducing exclusive right of ways at signals for existing BMTC buses - the magic boxes, I believe can come very handy here. The narrow underpasses can be used to provide exclusivity & priority for buses - only approaches & exits to & from ramps will need to be segregated. On wide arterial roads, the buses can be operated in mixed traffic conditions, just as BMTC is operating now, for a start without anything special. Where underpasses at intersections are not possible, a secondary road can be used before the signal to allow only buses to bypass the signal. Thus, such a secondary road will become bus exclusive & should permit only those private vehicles that belong to residents or shops along that road through boom /barrier controls (pedestrians, bicyclists can of course, be allowed) – this will ensure quick movement for buses. Where buses are passing on narrower arterial roads in congested areas, a narrow secondary road can made similarly bus exclusive for one direction & another suitable narrow road for the opposite direction - all this calls for a great deal of study, planning & co-ordination, apart from committed efforts - but with too many agencies involved, this may seem difficult if not impossible, unless umbrella arrangements are in place. When new elevated roads, roads over drains & new surface roads are built, bus exclusive lanes should be announced even as construction begins & through the development - this will silence the Car Lobbies from the start as they would then accept that such developments do not 'belong' to them. Bus travel would then become somewhat faster & more dependable than previous, & might start attracting more commuters. Public opinion may favor further steps to be taken to improve bus services, & premium services (with AC /pushback seats, etc) can also be commenced all around the city. Exclusive lanes can then be thought of at this stage on the wider roads. BRT has to evolve specific to our needs & requirements to be successful in our cities. There is a need for an agency to work really hard on this as several BMTC route plans will need to be studied, visited & diversions /bypasses /magic boxes planned, & there are several thousand routes – it may not be possible to apply this to all routes or to allow all signals to be by-passed along those routes chosen for quicker movements – the system has to be improved incrementally & will evolve over a period. One thing is for sure – buses have to become much faster if they have to help in reducing traffic & pollution on the streets, & a start has to be made somewhere to ‘push’ them faster than they are now. Since I posted my doubts, there have been many more from across the country, with some lovely pictures to top it all. My big worry is that no one in India has the proper know-how on transportation matters. Perhaps I am wrong. Having grown and lived in Mumbai for 30 years, my admiration for BEST with its small budget remains intact. Its not hi-tec, but it serves over 4 million per day and their reliablity compares with London buses. Why look else where when we have a fantastic model right here? I am amazed that G Tiwari and other IIT experts fail to mention Mumbai in their long articles. As a medical practitioner with background in research, I know how authors have their own bias influencing their final publications. I have no doubt that this is what is happening with Delhi IIT and some other experts (egged on by politicians who want to before elections show the public they are doing something grand). Pillarized motor lanes below which BRTS Bus Stop? TS, I was just thinking instead of having solid motorized lane on either side of the Bus Lane in your diagram, if we could have pillarized Motorized Lane below which Bus Stops can be constructed. (Ofcourse this needs more money and time to construct).Instead of pillars, I was just thinking of putting magic boxes below the motorized lane under which Bus Stops Can Be Constructed. Bus lane should not immediately steep up after the underpass, it should proceed at the same level for a distance equivalent to 2-3 buses and then steep up. People should have some stair cases and elevators on the pavement . I am learning & hope to be able to use it soon - looks like a great software ! your are right vasanth. it should not steep up immediately. that was just a rough sketch to get the idea across. if we can use the underpass, i dont see why bus lanes cannot be on the left lanes. Whatever be the field of application, first step in building a product or solution is gathering requirements from its existing or potential customers. Its a very basic and boring thing to say. But in our cities, and more so in the present days, I see local government or project execution authorities increasingly banking on "experts" and bypassng this fundamental rule for building solutions. Dont get me wrong, I am not trying to be-little the experts. But they are required to design the solution, whereas democracy (gathering requirements from real users) is requird to make the list of features that the solution has to have. There is a subtle difference here, which when not realized, leads to failure of ambitiously developed products. Democracy and business share this same basic - dont assume the customers or citizens to be dumb, do not think for them, ask them what they think. This is a very small thing which often gets ignored by this short cut of reliance on "experts" for end to end development of solutions. Sorry, had to resort to writing this slightly off topic comment after seeing (on TV), and hearing (from friends in those cities) the chaos around Delhi and Pune BRT systems. I just checked the China BRTS and it uses Underpass for the passengers to access the median. Here is the link. Roads are too wide, almost 5 lanes on either sides. There is no constraint to build BRT bus stop. Not so in Delhi and can't think of it in Bangalore. Vasanth - read yr comments. You are right - at the moment, BRT does seem impossible for Bangalore, with it's narrow streets. Hence, we need to think of some ways, without ruffling feathers to speed up bus services to make them faster & more cost efficient than using private vehicles, else the chaos will definitely increase with even more traffic additions. Metro will take a long, long time to build even if we had the finances, & cost hugely if it has to reach all parts - 25 years, or more. So, the only possible solution is to take steps to accord priority of passage for buses, wherever possible, whilst all road infrastructure additions must be done with a focus to cater to quick moment for buses, not private vehicles, as has been going on - this will surely worsen things. The more you build, the worse it gets - we have already seen this in the past decade/s. PS: I don't appear to have given this link on this blog, though readers may have had access to the piece from elsewhere. what is the purpose of public transit? is it to ease congestion? NO. you cannot ease congestion whatever you do. i dont think there is any piece of public transit line any where in the world that can make that claim of having reduced congestion. it is just not possible. the fundas are simple, if there is a geNu of free road space, there is a vehicle somewhere waiting to occupy it. Also, private transit trumps public transit on all but the most enlightened metrics - environment, pollution, trees etc hold no handle to comfort, ease, style, making a statement etc. most of the enlightened metrics are in the mind. if i go and tell somebody, listen listen, you are polluting environment dont take your vehicle out, he will slap me. we live in a time of intense self importance where any amount of discretization of time is problematic, even if it is the local cinema we are visiting. god forbid we have to synchronize time and our schedules with public transport. excuse me but, i dont want to sync with geography & nature, who is this public transport? if i want to go, i want to go now. heck, even in arts we want mtv style fast cuts. you read desi reviewers they will reign in a ton of bricks on editors if they allow long prolonged cuts. forget the rest, even something as tension filled as this scene wouldn't find a place in our new 'democracy', because the scene lingers a second too long and dvelves into what a chase really is all about: http://youtube.com/watch?... the bottom line is this. you build public transit only for the health of the city. public transit is not convenient for its users and it is not cheap on the exchequer either. but unless, you are willing to destroy the chamalapura and the mandya and make 7 isolated cities of a 10 lakhs each to replace the bangalore of 70 lakhs, you better take building pub transit seriously. i for one believe that building one uber dense and intensely futuristic bangalore is worth it, if we can save the 60% of the most precious resource we have that is the ecosystem surrounding the western ghats. getting back to bangalore, you build public transit to make it possible for a city to handle a lot more transits than its existing infra is designed for and to provide the city with some semblance of a structure that any meaningful modern city needs. there is no one theory that fits all problems. transit and living in cities is not a mobile phone where satiating an individual's need satisfies the city as a whole. and is a bit more involved than having a choice on the types of toothpaste and shampoo. irrespective of what theories say, some things have to be planned as a whole and in the greater interest of the city. transit, water, sewage anything that depends a constrained, limited network or supply and anything that requires attention to an issue that even has a pretense of an appeal to a higher human nature. you go out and take a survey, nobody will say he is willing to take public transport. what do you do then? it is not cmh road folks' job to take the big picture. it is the job of the city fathers to take the cmh road folks' along. Singapore's success in reducing traffic congestion, improving traffic movement speeds & managing traffic volumes effectively year after year is well known. How do they do it ? Click on the link below to read a paper describing 'Travel Demand Management'. http://www.adb.org/Docume...... The following are some noteworthy excerpts : 1) Traffic congestion problems cannot be resolved by the mere building of roads and better traffic management. They give temporary reprieve, but attract more vehicles to use them. Furthermore, in a small country, vast amounts of land cannot be devoted to roads. Currently, 12% of land is already allocated for land transport facilities. Besides road building can never keep pace with the annual growth in vehicle population. In other words, supply will always outstrip demand. 2) TDM takes two forms, namely vehicle ownership controls and vehicle usage controls. Vehicle ownership control aims to manage annual vehicle growth to manageable levels. Vehicle usage controls aims to make the drivers aware of the cost of congestion he is causing by driving his vehicle at a particular place at a particular time; and charge him this cost. 3) Since 1990, the government allows an annual growth of 3% in vehicle population. The long term planning projections of development of landuses and transport facilities show this to be a reasonable growth rate. Having decided on this quota, the government releases the monthly quota that it is prepared to allocate. Would-be-buyers of new vehicles then bid for the right to own a vehicle. For example, if the monthly allocation is 2000 vehicles, then the top 2000 bidders in that month are the successful ones and they all have to pay the lowest successful bid (in this case the 2000th bid) to get a certificate of entitlement (COE). The COE for that vehicle expires after 10 years and if anyone wants to keep it longer, he would have to renew the COE by paying the prevailing COE price. 4) TDM makes it expensive to own and use cars. Therefore, acceptable alternatives were provided in the way of a reliable public transport system. Public transport cannot provide door-to-door service and will always lag behind in convenience as compared to the car. Much effort has gone into improving and upgrading the bus and train systems. For those who still wanted to drive but were unwilling to pay the ERP charge, some alternatives were provided. A park-and-ride scheme was introduced, whereby drivers could drive to outlying car parks, park and catch a train to the city. A few of the roads skirting the city were improved to cater for traffic bypassing the city. Just for perspective, Singapore has no BRTS. They do have a pretty decent MRT system which they are expanding year after year. Singapore probably has one of the best public transport system that you can imagine - I hear Hong Kong is equally good if not better. Japan is also fantastic but more expensive. Singapore has bus lanes on all important roads. Some operate only at peak times - some (like on Orchard Road) are 24 hr bus lanes. Violations come with hefty fines. Essentially everything is (more precisely was) done to discourage private car ownership and encourage public transport. I lived there for 6 years and did not own a car - it still was a breeze to get to wherever you wanted. Taxis are cheap as well. COE prices were once almost 90,000 SGD. They are now closer to 12000 SGD ad you can already see that the roads are more congested. BUT, you have an option of taking the MRT and avoiding all the jams. Pedestrian facilities are fantastic and you can walk in peace without being harassed. What BDA and the government need to do starting with cities like Mysore and Mangalore and in the newer areas of Bangalore is to earmark tracts of land for future MRT expansion so that land acquisition problems don't crop up. Earmarking it will also spur development in these areas which then make the MRT more likely to be successful. God forbid a bus breaks down in that lane. Hard wiring lanes is probably not the way to go. Bollards might work better or they need to give escape routes every so often. Lagos BRTS - Lesson for Bangalore ? SB - Awesome, & is there something that can be learnt from it for bangalore's bus services ? Lagos /Nigeria, Dar-es-Salaam /Tanzania & Capetown /S.Africa are African cities already trying to implement BRTS - motorization levels are relatively lesser in African cities (except S.African cities), but kudos to them for looking ahead & trying to implement BRTS systems at this early stage of motorization ! On ORR eastern part, from Hebbal to Silkboard Jn, availability of service roads & ample spaces makes it possible to do it, but we do not know if authorities have planned this, as recommended in the CTTP report. sb, wow! the exact same arguments as in delhi. thanks for that link. naveen, thanks for that article and that summary. sri, naveen the thing about singapore it is such an isolated, self-consistent and strictly regulated place that it is difficult for an indian city like bangalore to take any meaningful lessons from it. how do you implement vehicle ownership controls in blr? if blr limits ownership, showrooms will open up in Hosur. TN is not going to put the brakes on auto bcoz that is a major industry in that state. i dunno if auto industry controls have any significant impact on singapore's economy. one of the ways of thinking about this is not to count vehicles but to count people. Don't flag red signal yet, BRT may get better S P Ketkar, Economic times If BRT doesn’t work, we’ll scrap it – says the government! Whatever the political compulsions or the style of governance may be, such an impatient reaction to any project during its trial run could only be termed as strange. BRT — Bus Rapid Transit, or High Capacity Bus System as it was called earlier — has reached its current stage only after years of planning, series of government approvals and crores of taxpayers’ money flowing down the corridor. How can this brainchild of IIT-D be suddenly junked and why? Did we expect the corridor to instantly eliminate all the traffic bottlenecks and cut the travel time to half? If it were to be so indeed, transportation theory tells us that many travellers will soon learn about the faster route and opt for it to save their time. New users will add to the traffic and travel time on new route will increase, thereby making the other alternatives comparatively faster. Over a reasonably long timeframe, travellers will keep switching to faster option until the traffic on all alternate routes balances out and the travel time using each option is almost equal. Once that state is reached, initial euphoria of ‘travel-time-down-to-half’ will disappear and the blame game will start then. Therefore, it must be borne in mind that any addition/closure of a route or any measure to increase/decrease the throughput on specific sector affects the entire road system in and around that area and complete impact of such a change can be known only after reasonable passage of time. Given that BRT is a change from the existing traffic system, one cannot expect the implementation without any criticism, resistance and opposition. As a concept it achieves two objectives. First, it confines all buses to the central corridor. This will eliminate the dangers associated with bus drives stopping at will, in the middle of road to let the passengers board or alight. This will also ensure that bus drivers keep to their lane and do not try to overtake other buses at every bus stop. Second, a dedicated corridor allows a reasonable speed and makes the transit rapid. In comparison, our old system in Kolkata also confines trams to the tracks running through the central corridor. However, the lane there is not dedicated to trams. All vehicles, right from horse carriages to manually pulled rickshaws and luxury cars to mini buses also use the entire width of the road and trams can run only when they get the tracks clear. To that extent reserved corridor in Delhi is a superior concept and is likely to speed up the public transport option. Further, the corridor which may seem to be empty at times will be a great help in emergency situations and can offer a passage to ambulances, fire tenders, VIP movement and so on. Finally, BRT or Bus Rapid Transit system is intended to improve the public transport. In this backdrop, BRT success or failure cannot be judged by sighting the time taken by car to travel the corridor distance. Even if BRT adds say 10 minutes to travel time of 200 cars and we take average occupancy as two persons per car, we estimate the time lost as 10x200x2 = 4,000 minutes. As against this, if BRT implementation saves 20 minutes for 50 persons each in the 10 buses, bus travellers together would save 20x50x10 = 10,000 minutes. Once again, if BRT becomes a faster alternative, people may opt for public transport thereby reducing the usage of private vehicles on roads and this in the long run will mean improvement in traffic conditions. Agreed that BRT trials have caused a temporary chaos on roads, but we can’t simply scrap the project after going so far. Public at large must know the initial basis for approval and expectations from the project. It is likely that the actual traffic is higher than the design basis. May be the signaling system is not fully operational as yet or it could just be the teething problems common to all projects of such magnitude. Evaluating the project success, even before its formal launch can be misleading and should be avoided. We must take necessary corrective actions and allow sufficient time for BRT to prove its worth. The author is an alumnus of IIM-B. Views are personal. also see http://www.ibnlive.com/vi... bus users happy cars drivers not. and what does the reporter say? this has been designed exclusively for bus passengers and ignored the rest. would have been a good point if only he had supplied numbers as to how people travel in buses in that corridor and how many by cars. yes naveen, some where out there there is a plan by rites. but benniganahalli and krpuram are a headache i believe. That's why we need to have some metrics that need to be established beforehand to judge whether the project is successful or not. Could be average speed (before and after),waiting time for a bus, % increase in passengers, impact on other users (incremental time taken by a car). At least there is an objective data based reply to the debunkers. The people in the cars and bikes can use that lane btw - they just have to sit in a bus. The other thing that needs to be examined is that why does a reduction of 1 lane cause so much loss in throughput for the other 2 lanes and such a build up. Going by Shastri's picture, if 30-40% of car users migrate to the bus lane, there would be a significant reduction in the jams in the other lanes. What I have learnt in my 11 years in P&G - there has to be some pain put in the system, else people will not find solutions. If a BRTS is strategically right for some parts Delhi then make the thing work. Don't back off because of a few days of chaos. We put up with more chaos in Bangalore for stupidly conceived flyovers (think Richmond Circle). It is really great that BRTS options are being explored in cities such as Delhi, Pune & Ahmadabad. As expected, car users have been very vocal in their criticism, fueled by the media, but I think sanity will prevail as it is plain common sense that more can travel faster by bus than by cars & time savings for the city's populace as a whole is far more important than for the smaller percentage of car users. It is just that point to point convenience is difficult for all, but overall, the benefits outweigh the disadvantages. Bangalore's turn to commence this will most likely depend on the success of these systems in these other cities, & it is hoped that they succeed, so we have a model to follow - like the Metro. Amen to your comments. Absolutely bang on. In Bangalore, BMTC drivers already have a dedicated bus lane -- its called the whole road!!!! Till the Police get off their high horse and start enforcing rules on BMTC and Autos, like in Singapore, I fear nothing can and will be done. But then again, there are 3 Crore reasons every month why the police is loathe to take action, despite the best intentions and efforts of the senior officers. BRTS/Bus lane from Indiranagar to E-City? The other thing that needs to be examined is that why does a reduction of 1 lane cause so much loss in throughput for the other 2 lanes and such a build up. how do you mean sri? i have to look carefully at the document blrsri sent, but my guess is that it is not so much the lanes but the extra phases at signals that is causing the bottleneck. roughly, initially if there were 4 directions sharing a minute, now there must be atleast 6. so the junction capacity has decreased and it is not able to discharge in 1/6 minutes what it is accumulating in the other 5/6 of a minute. synchronization of atleast the signals along the corridor might help. look at the corridors - 1 lane shared from 4 eachway atleast..we dont have it! no comprende: 1 lane shared from 4 eachway atleast hingandrenu? Comfortable Cycle Lane. I didn't see so many cyclists in Bangalore. A BRT special bus passing freely. Please note the vehicles pyling up in the traffic signal at the end whereas BRT bus going to the front of signal. Motor vehicle lanes are wide enough and equivalent to most of our Bangalore roads. If bus corridor is removed, length of the jam will decrease and width increase for which Delhi car users are crying!! Our corporators are eating away the pavements who are never condemned, whereas improved pavements are condemned and asked to scrap!!! A NDTV report - Please note the last lady car driver saying that she will never use it. Rich lady - God save her from traffic Chaos and her car from dents!! I was pointing to the road space..where there existed 4 lanes and 1 lane was given to the BRT..fine! The case in Delhi too..3 lanes existed and one lane was shared with BRT..they already had big footpaths and they marled bike lanes on it! Interesting to see if they can replicate the same in the congested old delhi areas..
Bangalore has no roads like that..ring road comes close..but only in certain streaches..for example its just 2 lanes when it comes under the kr puram rly bridge! I am not in favour of prioritising BRT over getting a basic bus service in place. The former without the latter will only fail, while the latter on its own can do a superb job when well managed - BEST is a prime example. Here are two parts to what I feel is an article which looks at problems of considering BRT as 'the' model for our cities. ASJ - Noted your post & Vivek Debroy's column. If I were a car or 2-wheeler rider & if I were to consider a switch to bus travel, I would consider various factors, most importantly time & cost savings when compared to private travel & other factors such as proximity of bus stop, comfort, convenience, etc. If the time taken for a trip by bus is more than the time taken by private vehicle, there is little justification for me to consider a switch, since the additional cost of travel by car or 2-wheeler, in most cases would be justifiable to me since there are other benefits of point to point travel as well, in addition to time savings. As I mentioned in another blog (http://www.bangalore.praja.in/bangalore/blog/naveen/2008/05/01/public-bus-transport-fare-quality-nexus), no matter how excellent the supply side of public bus transport is, the service will only have as much quality as the traffic conditions allow. Thus, if buses follow mixed traffic conditions, with signal delays, numerous bus-stops en-route, etc., there really are no 'pull' or 'push' factors for me to even think of bus travel, however confortable the buses may be, since I may also be just as comfortable in my private vehicle, with added conveniences. Prioritizing bus services, though not necessarily with full length exclucive busways, but with means to escape signal delays & dedicated lanes where possible may be the answer to sway car owners to use buses. Unless this is emphasized sufficiently & generally agreed & accepted by the public, cars & 2-wheelers will be more preferred & the flight of passengers to private modes of travel will continue - this is clearly not desirable. Firstly, I have pointed out repeatedly there are cheaper ways of prioritising buses. These ways are more suitable for our cities. Coming to push/pull - I grew up in Mumbai and lived there for 30 years and now 7 years in London. In both these cities I enjoy buses (non-BRT) and trains. Millions travel in these cities using these modes. Those habituated with use of their 2 wheel drives, in places like Pune, people expect the buses will be a door-to-door service. In Pune there are people who go on their motorbikes to the corner shops. Basically the push and pull is about 'attitudes'. We cannot have it all, sacrifices will be needed, if not, we must accept consequences of pollution (cancers / vascular conditions) and impact of climate change. thanks asj for that reference. i also agree that traditional bus system(TBS) should be in place and i dont think any system will be complete without the traditional bus system. TBS can be made better by fixing some of the operational and some of the network issues. but even the most optimized traditional bus system cannot be the entire public tranport system either. (and i dont think you saying that either.) and naveen has said why. and his argument works irrespective of the mode. rapid is not a fancy word. rapid is a necessity. if you are going to stop every half a mile to collect people, then you better travel faster midblock and at signals. then if the argument is, so what if the system is not rapid, we still are carrying n lakhs people/day. that is a valid statistic if TBS is carrying the same set of people year after year, but TBS, in most indian cities, is not carrying the same people year after year, but it is carrying the same TYPE of people year after year. one such type is school kids for example, upto college they take TBS. when they fall out of college they also typically fall out of TBS. they are replaced fresh students at the other end and the total adds upto n lakhs. transport walas are happy.as long as the books are balanced, nobody will ask why is mumbai able retain an entire cross section of the city in public transport? one part of the answer ofcourse is because an appropriate network that can retain its clients exists. i agree with you that a lot of this is attitude. but making people and their attitude problematic is a non-starter. bcoz people have these attitudes due to their histories. mumbai's people's attitude didnot precede its network. their attitude is due to the network. very easy to establish this hypothesis. i will also argue that nobody in mumbai takes the network in the greater interest of the city or for environmental causes. they take it because there is no other alternative for a lot of the people and because a sufficient network exists people have that attitude in mumbai. on the other hand, pune, bangalore, mysore, delhi etc have had no such network and for the longest time door-to-door was possible and thus desirable and that is the corresponding attitude they have. bottom line, restricted supply for individualized transport and sufficient supply of public transport is the desirable goal, so that all the big cities can even begin to compare themselves to mumbai. And i am sure you will agree that TBS is important for mumbai but not its backbone, the backbone is a ROW based massive transit system and also bcoz mumbai has a solid network, the TBS in mumbai is prolly able to retain its clients. regarding that article itself, it has now become a fashionable to find fault with the cities pattern. 'puting a pub transit on a city that has already developed will not work, in the west first they put pub transit then cities developed'. hogwash. we have the city we have. in any case cities are dynamic entities which change and evolve. you put a line of pub transit through shukrawar pet and chickpete and they will evolve. Mumbai's 'lifeline', as it's called, are the trains, however poor the conditions & quality of accommodation may be, because of time & cost savings. Another factor is distance from the north to CBDs in the south & the city's north-south orientation. To reach a station, one would have to use bus. BEST has been performing excellently, no doubt, but it's success dates back to the days prior motorization levels began to increase, & it continues to perform very efficiently, todate, given it's background of reliability & efficiency, even in the southern CBDs. However, the scene is quite different now in CBD suburbs such as Andheri East & Bandra-Kurla Complex, where private vehicle use & congestion have already reached very high levels & the scene resembles the rest of the country, if not worse. How do you change this ? Certainly not by accepting BRTS as a failure & building more roads to accept the increase in traffic load. The only way is to prioritize bus or other rapid services & discourage private modes - plan all road infrastructure additions (such as flyovers, underpasses, widening, etc) with the focus on improving bus services, rather than for 'common use' or 'mixed traffic', speed up the buses as much as possible to make them faster than private vehicles, & take steps to control supply of public parking slots, introduce tolls for fly-overs, bridges, expressways, etc & introduce congestion pricing (as in London, Singapore & Norwegian /Scandinavian cities). Unless some discipline-imposing steps are taken, none will want to give up their wheels & will continue to argue that the 'western & latin-american models dont suit us'. This may be true in as far as only road width availability is concerned, but the basic premise remains valid - unless all public transport, especially bus services are prioritized at the expense of all private traffic, things will only get worse with more & more additions of private vehicles ! Agree that TBS (as Tarle has termed it) has to hit Bombay/Madras standards. For 9 of the past 12 years, I did not own a car - when I lived in Bombay and Singapore. But I think a well thought out BRTS could be feasible along some corridors where the future Metro will not go (E-City e.g.). We have to hit people where it hurts most - their wallet. But here our government is reducing excise duties on cars rather than increasing them. I also think there is a way to manage fuel subsidies by taxing petrol disproportionately in metro areas (a Rs.10/litre tax in Bangalore/Bombay/Delhi...). Diesel cars should have a 20% advalorem tax on them. "One of the main reasons for high gas prices is that global oil production is not keeping up with growing demand. ...I think we better understand that there's not a lot of excess capacity in this world right now. ...demand is rising faster than supply. And that's why you're seeing global energy prices rise. ...But there is no magic wand to wave right now. It took us a while to get to this fix. " we need to sit up and have a good public transport strategy. Namma Metro will have to be funded rather than hare-brained expressways and flyovers that only transport bottlenecks rather than people. With BRT, Frequency as well as Fuel Effeciency also increases. A bus based transport without stops? Firstly there are norms for TDS and BRT as to with what frequency there are bus stops. To not have bus stops is a non-starter as people should hope to walk no more than 3-5 minutes to get to one. Equally, there will be signals, just to reduce if not extinct potential for accidents at junctions. People seem to expect to travel non-stop door-to-door, that is where the problem is. Look at our unruly traffic in Pune and other small cities. The number going past the red lights!! Taking left on red!! Waiting well past stop lines!! What is the hurry about? This hurry I describe has nothing to do with whether availability public transport shaped attitudes or not. Finally, I have within my first post (the top of this trail) shown a calculation of how fast is fast with BRT routes that measure average lengths of few kilometers. It will help when expectations of finding an all serving utopian model is ridden away and simpler methods are used, there is ample evidence from MUmbai that it works. Having said, Mumbai is probably the only city which has a bus service which can be complemented with a BRT (as I have said the other way round will never work). I was never against BRT, my moot point is why the experts have been shy of looking at other models? Why are the basics not being implemented first? Again why the hurry on embarking on pilot BRT's when basic fundamentals are not in place? The hurry is largely connected with our liking for copying others and also our politicians wanting to demonstrate they are doing a lot come elections. I agree that Pune's BRT design, at least as of now, may have too short lengths of corridor/s to have any meanigful time savings benefits to commuters. In Mumbai, how long would it take to travel from Borivli to Churchgate on a BEST bus in peak hours ? I once travelled from Andheri to Flora Fountain (CST) in peak hours & it took 2.5 hours. If the bus had a segregated busway & infrastructure in place for the bus to bypass signal delays & not be subject to slow movement in mixed traffic, it wud have done the distance of over 30kms in a little over an hour with bus-stops each 6-700 mtrs. So, I can save nearly 1.5 hours in peak hours, & that to me, as a regular daily commuter means a great deal - I wud prefer to take the bus than to go upto the station & change over to train. However, such high degrees of efficiency might not be possible as we have constraints - nonavailability of road widths to provide for continuous segregated lanes, etc. Even then, the BEST bus can save a lot of time if it is given priority wherever possible. BRTS has features that are worth considering & can help to halt further growth of traffic, even reverse this unhealthy trend - if & only if planned & implemented correctly & as per local situations & needs in our cities. However, prioritized bus alone will not be enough - other tools need to be used as well, such as traffic restraints to discourage private vehicle use. "To not have bus stops is a non-starter as people should hope to walk no more than 3-5 minutes to get to one." I am not sure if any of us proposed this or implied this. Bangalore has a reasonably developed bus infrastructure - 5000 buses and apparently carries 30 lakh passengers daily. While many of us believe that a lot is to be desired (coverage, driver behaviour, access, bus stops) it is by no mean non-existent. In future it will need to complement the Metro and redefine its routes. I have also thrown up one potential BRT/dedicated bus lane route in Bangalore here http://bangalore.praja.in/bangalore/blog/s-yajaman/2008/04/29/brts-bus-lane-indiranagar-e-city This would be about 25 km in length and go to one very important sink in Bangalore (Electronics City). Roads for about 18 km are broad enough for a bus lane if not BRT. I agree with you when you wonder why Indians are in such a hurry - given that hardly any of us are on time for meetings/appointments :). This is a behavioural problem that no infrastructure can solve. If we have 10 lane roads - we will have 20 lanes of traffic on it all jammed up - we don't know how to drive in lanes one behind the other. That is a separate issue. What would you define as the fundamentals that you refer to above? Some metrics would definitely help. Bus tops and signals will apply and hence there will soppage time is what I was saying. There seems to be a view that travel should be virtually non-stop. I have been on Mumbai buses, London buses and trains in both these cities (underground in London)- there are stoppages, signal failures etc. Hence the sole focus on speed is a falacy. As pointed out, unless the BRT routes are of significant lenghts, speed will not matter. Further the argument that Mumbai had a public transport pre-dating private vehicles and hence the uptake of public transport is high is incorrect. There are many factors - the service reliability, frequency, route rationalisation, costing of tickets. The cost of tickets for the third rate PMT service in Pune is same as that when using a two wheeler. Why will anyone then use the bus. If Mumbai citizens use buses and trains only because they predate other auto modes and in other cities its the opposite, what evidence is there to suggest that having a BRT will make someone in Bangalore or Pune switch to buses? The above looks at PMT as it is today, what it could be (plenty of suggestions). Any reader of this review should then answer the question - Should Pune's basic bus service model be reformed or should it consider a splattering of BRT routes as a solution. In Pune they don't have bus garages, brand new buses are kept overnight to be vandalised, should this not be looked at before BRT? PMT contracts and sub-contracts the buses, no one knows if the drivers are trained, mini-buses are running on BRT routes (where is the 'mass' transport bit gone?) and still worse killing pedestrians. I had submitted a petition to Pune Corporation with the above article and a CD Resource Pack on Bus Priority acquired from DOT, UK - a summary is available as a download (click here). The point is, many inner city areas can never provide for 100 feet wide roads. Its easy to say - dedicated route from Flora Fountain to Andheri - but there is no scope to increase width on any of these roads on the stretch. Instead look at the London model (and someone has suggested Singapore is similar). Any road with two lanes on one side - straight away, one lane is coloured Red and becomes a bus lane. Majority are bus lanes during rush hours and working days only. Thus these lanes are not un-used (unlike BRT) during other times. The whole point is - there are more cost-effective methods. A peripheral bus lane as per the London model has its other advantages - The biggest being savings in not having to build median bus stops, safe crossways (ideally should be subways / overhaed crossovers with facility for disabled). London also has done the clever thing of allowing cycles on bus lanes. The number of cyclists (as in Pune or Banagalore) is so small that it actually does not matter. UK also introduced a law asking / demanding that all other vehicels give way to buses - thus if a bus has to change lanes (to overtake a cycle) other cars GIVE WAY. Some people have argued that London model won't work in India, because the lanes are not dedicated and hence will be abused by other road users (much like how the 1 or 2 cycle lanes in Pune are now used by motorcyclists). This is a matter of law enforcement and hence should not be a cause of considering more costly projects. Feeder routes - this is yet another fundamental basic. Flora Fountain to Andheri - you could have a BRT going along the sea by spending crores and crores on road expansion. But What will someone do if they travel from Andheri to Fountain but work at CST, Colaba, Fort areas, Metro / Dobhi-Talao etc - feeder's are needed. Without them BRT will fail, its not too difficult to imagine this. 4: Randomised double blind (even triple blind trials) - where researchers are blind to the source of the data they analyse (participants cannot be blinded in this case). 5: Meta-analysis - which statistically adjusts for publication bias and missing data (often negative findings do not get published and never reported because the product manufacturer's are powerful to manage getting their views in to news papers). You can see why we are in trouble- we have looked at the weakest evidence and tried to implement it, further worsened by complete lack of planning. Hope this helps where I stand, I am not anti-BRT, I ask for a wider view of how things stand. Much of what I say is limited to my what has happened in Pune. I make it an example with the hope that other cities do not do what Pune did. I personally think that a city is too broad a geography to define suitability of a BRTS . I also think that there are variations possible on the "pure" BRT. Further it should not be thought of as the only solution possible, but as one of many public transport options in a city. I think most of us want a good public transport solution - BRT/MRT/TBS. Hope that clarifies. Thank you for summating it up. You have cleared the dust for us all and clearly put in words the a.b.c.d of what is needed. Pleasure being part of this thread. The Bus in the background is an example of what they all look like - can't touch with a barge pole. Bus Rapid Transit (BRT) is a broad term given to a variety of transportation systems that, through improvements to infrastructure, vehicles and scheduling, attempt to use buses to provide a service that is of a higher quality than an ordinary bus line. So, we dont have to jump into pictures of fancy road tracks (Like Adelaide's O'Bahn busway), or elevated corridors for the purpose. I think most of us agree on that. One critical point appears to have been missed in this whole debate - the fact that both in Pune and as well as in Bangalore, the bus transport operations are in the hands of government monopoly agencies. Now, government agencies are generally known to be inefficient (to say the least), and when, in addition, they enjoy a monopoly status, it is the perfect recipe for disaster. We cannot afford that any longer. And, as I have been repeating ad naseum, my first exposure to the name TVS was as the public bus transport service provider in the city of Madurai, way back in the 60's. What has to happen is the facilitation of the re-entry of players like TVS into the field. Many solutions will arise automatically therefrom, and the rest can be worked by the PRAJA through the regulatory body. PS: BEST, both as the monopoly bus services povider as well as the monopoly power distributor (south of Mahim) in the city of Mumbai, is a very rare exception to the rule. The basics that I keep referring to can only be made a reality with a whole systems approach. Last year I wrote to Pune Commissioner about this with images supporting my thoughts. Those interested may download the document and will notice several examples actually are deeply connected with 'mobility'. Pune is a classic example where basic foundations of the civic structures are so weak that the projects like BRT are nothing but a function of knee jerk populism. ASJ, Reviewed your presentations & well noted - the basics as outlined for providing priority of passage for buses seem quite correct & accurate & will work well where motorization levels are low &/or where people generally follow strict discipline - like in Europe & America, even Japan /Singapore or Australia /New Zealand. It certainly makes sense to utilize available road space for bus lanes without having to needlessly segregate & cordon them off, at extra cost/s, also it would render such space unavailable for other users at different times of the day. I was in Antwerp about 4 months ago & saw how even light rail was operating on existing road space without conflicts, not to mention buses & taxis, which are also considered public transport & enjoy right of way over private vehicles. Similarly, bicycles operate on sidewalks without hindrance as pedestrians automatically provide them ROWs, but then that was Europe ! The situation is quite different in India - Cities here have seen explosive growth with very high unchecked traffic volumes & the resultant breakdown in road discipline & utter chaos. Generally, people tend to break laid down procedures in this country & roads are no exception. More severe solutions are called for here to control this mess. In a land where people break road dividers, use sidewalks to ride on, drive in the opposite direction on one ways, park on flyover/s & go through red signals : Will merely painting a lane red ensure that it is bus exclusive, particularly in peak hours when traffic jams are commonplace ? There is one more issue - I think you are generally describing the inappropriateness of BRTS for Pune, a city known for it's extremely poor public transport, vis-a-vis Mumbai where BEST, in combination with the western /central rail lines provides good coverage in a city that generally is north-south oriented. As I mentioned, now that the suburbs have seen leap-frogging CBD developments, it is utter chaos in Andheri /Saki-Naka /Seepz during peak hours as also in many surrounding suburbs - no different than Pune or any other city. Far from Mumbai & Pune, Bangalore has also grown too rapidly & the newer roads, particularly the ring roads (Inner & Outer) are wide & bus lanes can be allocated here, as also some of the radial roads. To ensure that they remain bus lanes & prevent intrusion by other vehicles, they will need to be physically seperated, as anywhere else in this country, to be meaningful to cut short time of travel, in addition to providing other priority measures enumerated earlier. It is sad that we have to admit that only such severe methods & force works here, unlike in UK or other more developed parts of the world. Why did I get the feeling that this was coming? :) Indian Airlines is a much improved service after Jet came in. We get phones on demand and BSNL is also improved (I remember my father booking a phone in 1988 and getting it in 1995 just after he retired- that too in the non_OYT special). The main point is regulation. Our heroes in Bangalore cannot ensure that there is a 30' offset from the footpath to the building or that every commercial building in Bangalore has parking space. The list can go on about how Bangalore is essentially a free-for-all and where might makes right. Letting a private operator loose in this situation needs some thought. We need to have a TRAI like body and stiff fines - CEO in jail for 30 days for each death caused by a private operator (and BMTC!) + 1 crore fine for each death. They have to agree to speed governors at 50 kmph, air con buses, bus age, etc etc. Once the basic framework is in place then call them in. Corporates with good brand names (TATAs, TVS, XYZ) who have too much to lose because of bad press should be allowed. Anyone can see that there is a huge potential for bus services- 15 lakh bike riders and 5 lakh car owners and growing. BMTC should not be a dog in the manger - if I can't do it no one else should either. Population and car densities are two different stats. London and many parts of UK are as densly populated as Indian cities. And 80% have cars, thus making their roads ever more densly filled with vehicles. Yet, traffic moves well, without a honk (Ihave probably heard 5-6 honks in as many years in UK) - why - because of good driver training and road culture. When we copy their road culture (and all my 17 videos on the matter remain posted on Praja) that it self will make a difference. In fact grid locks happen only when signals malfunction or road works are being done. Despite a massive network of tubes, buses, roads it takes me almost same time to get to Barnet from Hounslow whichever means I use (and I have used them all including driving 15 miles which in peak hours takes 90 minutes). And I doubt a BRT would make it any faster in London (for simple reason that getting to Barnet from Hounslow, much like getting from Colaba to Varsova is not as simple as drawing a straight diagnoal line between two destinations - in fact it will not be possible to expand the roads. I completely disagree with the view that we need independent dedicated bus lanes becuase simple bus lane model will not be respected - Well make them respect. Money is needed for other social needs too - education, healthcare, sanitation, hydration systems etc. Spending on one thing at cost of other is unethical when cost-effective means are available. Read my brief on ethics and planning (heavily influenced by my medical background and how healthcare works in UK as against India). Finally, there is a need to respect city limits. CBD and Thane etc are not part of Mumbai, they have their own municipalties. Each municipal organisation should do its own bit and have links with the other as needed. Someone the other day spoke of expanding Pune and its borders reaching Lonavala - how can a cicic authority plan for what is not their city, why should they? Soon people will be wanting to travel Mumbai-Pune in a flash of an hour against the current 3 hours. Perhaps we are so in love with speed of travel that we need to invest in reaserching a Star Trek Energiser Device that sends us in seconds to where we wish to go. But, yes, if Bangalore has storong fundamentals and the capacity to build wide roads - well why not. Good luck with it. "I completely disagree with the view that we need independent dedicated bus lanes becuase simple bus lane model will not be respected - Well make them respect." Agree. What if you build fences to segregate bus lanes, and local residents break those, like how they destroy pedestrian separator fences and road dividers? There is no substitute for enforcement, controlling usage of public space, and tackling 'ribbon development'. Do we have options to leapfrog those basics (like we bypassed landlines and went to mobiles) ? I think not. Houses and shops are still built on land. And cars, buses and commuter rails are almost the same in speed, width and capacity as they were 60 years ago. But, talking of population density, see stats : here. Next, I bet that road length to population ratios would be very low in our cities when compared to London and Singapore (can't find stats, still looking). In such scenario - higher population density, less road space (thanks to unplanned growth), you probably need special measures like dedicated lanes. Its not about speed of commute, its about forcing preference for public transport. ASJ, SB has clarified some specifics ... One other thing - I have nowhere mentioned Thane. The CBD I referred to was not Belapur, but the new buisness & office complexes in /around Andheri-east & surroundings, & Bandra-Kurla Complex, which are very much a part of Mumbai, & are very chaotic throughout the day, especially during peak hours. Many millions visit London each year, not to mention the millions coming to work from outside London. Thus the stats don't add up. The chaos of Mumbai suburbs - One needs to look at what is different in traffic / bus flow between Colaba to Bandra and beyond Bandra - take 3 wheelers out of the equation and and imagine what life may be like. The new developments of CBD / Andheri East - As I have said, if any city should benefit from BRT like system, its Mumbai. Mumbai BRT has half a dozen BRT routes looked at in the feasibility reports - all major trunks like the express ways - BRT on them will be great, but only because on either side there is a superb option of traditional BEST and train connections. Mumbai also going by the stats on densities 29K as against that of Chennai 14K+, Delhi 11K and Bangalore 10K+ clearly stands out as an example of how well a TBS can work. BEST in Mumbai works for 4 million people everyday (stats sent by BEST AGM to me). That is 4th of its population. Twice as many are its trains. Why then will this model not work in cities with less than half of Mumbai's density? Bus Lanes I mention from London have no bounds/segregation what so ever, they are still respected. This is a matter of shame that our population won't care to respect law in all aspects of life (not just transport). To make this a reason for spending on segregation is in my view unethical and a criminal waste of money. As mentioned repeatedly, I favour giving buses a preferential treatment to speed up travel - but I do not agree that BRT is the only way to do it. There are other ways which remain neglected. When traditional buses (operating with no privileges & in purely mixed traffic conditions) are accorded some form of priority, they are termed BRT. The term BRT implies that they enjoy some form of prioritization or preference or protection, be it dedicated lane or signal priority or right of way on streets - this is clear from various BRT articles & guides & this is what we meant. A full-BRT is one that enjoys priority all the way with dedicated bus lanes & priority at all intersections & at all signals. As regards Mumbai - as already explained, the city's terrain is largely north-south oriented – the CBDs in the south dominated commerce in the city for long & the city was ideally suited for a manhattan style development with high rises & high density. Almost all transport links commenced from there to various parts in the north & north-east. This explains the very high density of 29K+, the largest density for any city in the world. Most other cities such as Pune, Delhi & Bangalore are spread out in all four directions, & are growing vertically, horizontally & in all directions, with multiple CBD locations that attract traffic movements. Solutions for such cities /areas would be what is comparable to the new CBDs in Mumbai's Andheri or Bandra-Kurla Complex. You also implied that 3-wheelers were the cause of chaos in the new CBDs in Mumbai. The new developments at Andheri-Seepz & Bandra-Kurla-Complex, of more recent vintage has brought along conflicting traffic flow patterns, as is commonplace in almost all other cities. 3-wheelers only add to the existing chaos & if they were banned, chaos would still continue as they wud be replaced by other vehicle types to fill the void. 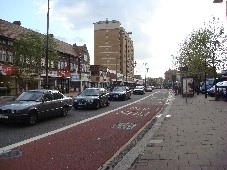 Here is a picture of a typical bus lane in London, right outside where I live. Now why are these bus lanes not the same as BRT as being implemented in Delhi/Pune? The lane is not segregated. Exisiting road space is used. Its a 2 lane road, one lane used for buses. All other times, including weekends, bank holiday - anyone can use it. What was the cost of implementing this method - none beyond painitng a coat of Red on the lane. No need for crossways, no need to increase road width for having bus stops in the middle of the road. Bogota built 30 pedestrian overpasses in phase one alone (but it took money) - in Pune pedestrians including old and disabled cannot get to the BRT bus stop safely. Other vehicles - they loose out but only whn bus lane is in operation. In BRT Pune and Delhi - vehicles loose out all the time. The cost differential between BRT as advocated by Delhi - IIT and what happens in London is not a matter of few rupees, its lakhs if not crores of rupees. How many roads in cities like Mumbai, Pune, Bangalore implement this - plenty more than the BRT models proposed - in fact any 2 lane road can use this overnight. People will need to be disciplined - London fines are heavy, hence no one dares (£100+ is a lot of money - over 8000 rupees and 30 combo meals in McDonalds). In Mumbai, its not just historical presence of public transport, its cost of travel - its damn cheap compared to using ones own vehicle. How can one do that in other cities - Mumbai BEST is subsidised as are train. Either we provide subsidy or make sure the use of personal vehicles rises dramatically. In London travel on buses is not cheap (despite some subsidy), but it seems cheaper once one factors in cost of using personal vehicles - Road tax (£125), Congestion charge £10 per day, Insurance £500, Parking £10-12 per day and no petrol subsidy, it costs Rs 80 per liter. My article Pune caught in Whirlpool has all the calculations. Every weekday over 6,500 scheduled buses carry around 5.4 million passengers on over 700 different routes; amounting to over 1.5 billion passengers a year. The present bus fleet of BEST is 3391 buses. The break-up of the same is Air Conditioned – 51 buses, CNG – 245 buses, Single Deck (Conventional) – 2158 buses, Double Deck – 199 buses, Semi Low Floor – 636 buses, Ultra Low Floor (Wheel Chair Friendly) – 31 buses, Midi – 63 buses and Vestibule – 8 buses. At present, BEST operates 345 bus routes. The daily average passengers carried by BEST buses is about 4.5 million. Assuming that every passenger travels minimum two trips per day, the actual heads traveling would be about 2.2 million. The population of Mumbai is about 1.25 Crores and the percentage of the population traveling in BEST buses is 18%. The need for conductors then is nil (argument that they ensure security is a fallacy as Mumbai trains have 12 coaches and 1 driver). Optimise work force over time, save on salaries, invest in more buses. Geography - if anything the north-south longitudinal argument is in favour of having trains, dedicated bus routes as in BRT (going in a relatively straight line). When cities grow in all 4 directions the only way to penetrate them in all directions effectively is have a maze of bus routes - not possible with BRT, but posible with London bus lane approach that augments TBS. 3 wheelers - Can you imagine what will happen to traffic if there were rickshaws in south Mumbai? Its not increasing chaos, they make chaos. Has anyone noted how our junctions are packed and full of chaos while roads in between junctions relatively empty? Solve the cause of this and see what happens to traffic flow. I have seen roads in UK - the flow is relentless (if anything the junctions are least chaotic), no gaps but moving at 12 miles avg per hour (as against 12km in Mumbai / Pune). I don't want to go on repeating myself. The A-B-C-D of Transport described above sums it all, unless we get that right, everything else is intellectual talk. Is anyone compiling these thoughts as a dosier which may be then submitted to the authorities, if not, we are wasting our time debating. All the thoughts are right here, available to be compiled at opportune moments. We have to get big enough first to have reliable participation in on-ground activities. We are getting close. We will do more than discussions, and in democratic ways, soon. BTW, few folks who are in decision making positions do read us. We are getting a good number of activists on board as well. I will compile the discussions on the BRTS and another discussion on BMTC and summarize it. Give me till next week end. We certainly want to action some of these, else the chat becomes an end in itself. A thought without an action is just that - a thought. Dear Srivathsa, Many thanks for taking lead on this. Your ideas are great & I sincerely hope that we can some day soon, follow all of them, even improve & make them better & more efficient. However, the reality in India is quite different, as of now. India being a third world country, still has a long way to go to reach a stage when people follow practices & procedures as laid down or defined – road discipline is still abysmal & cannot be compared with Asia-Pacific, Latin America or Middle-East, let alone Europe /Australia or USA. If heavy fines or penalties are introduced, people start bribing the cops & get away with violations – this is quite common & routine even with the low fines that we already have, & needs to be fought, but the small group/s that fight are easily outnumbered by the very large percentage of people who prefer to pay bribes & close the matter. Bus lane violations are also common in Latin America & elsewhere, including Australia (click on the links above to see pictures). 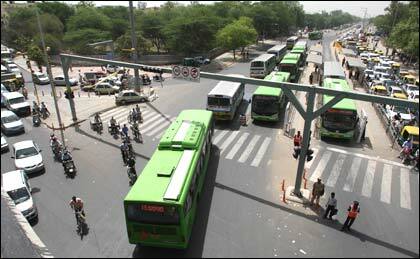 In India, trying BRTS without physically segregating lanes may render the whole exercise of attempting to provide a reliable & relatively cheaper transport option a non-starter since intrusions would be the norm & the buses will end up having no room on the lanes at all – the lanes will be full of other mixed traffic all the time as enforcement will be quite impossible. f) Government Transport institutions have so far not been up to the task. I agree with your conclusion that since Pune does not have a good traditional bus service, BRTS may seem inappropriate. However, this position cannot be extended to other cities which might have it’s own requirements. We believe that it is required here as there are many working, particularly in the IT industry, who demand such service & do not want to drive – & they number some 5 lakhs, most of whom travel by cars with resultant congestion, pollution & frustration. Further, there are at least a few candidate corridors that can be utilized for BRTS as road widths are quite sufficient. So, why not try this option ? One thing is clear –Good public transport & commuting facilities need to be provided & traffic volumes need to be reduced. BRTS is one option that can be explored. Here is a link to Stephen Covey's video demonstration on how fundamentals (big stones in the video) have to go in first for all small stones to fit in - it does not work the other way round. Unfortunately, its not in English, but you get the message. I have never felt I can dictate what happens in other cities, I only make my first hand experience (along with some research) of Mumbai, UK and Pune available for others to use when found appropriate to their case. I think our main fault is ad-hocism and follow the west attitude. There is no excitement in searching for and coming up with solutions for ourselves. We want quick fixes. Readymade solutions.It is sad to see that even a body like the IIT does not believe in carrying out detailed, in depth studies and "research" the problem. The problem needs to be re-searched because we have not understood its nature. Normally solutions present themselves almost automatically once we have understood the causal chain. But IIT has depended on secondary data which in the first place has not pointed us to a solution. Also they started at the wrong end: with the solution: BRT and then tried to retrofit the CONTEXT or OBJECTIVE REALITY to their solution. This is what is leading to the perpetual disasters. The solution must address the context not vice versa. Please advise the relevance of the video clip (big stones have to go in first for all small stones to fit in) to the issue at hand as it is unclear. The observation by the town planner is also unclear - IIT had put in a lot of effort to identify & design BRT corridors for Delhi. The problem in our cities, as we know very well is worsening congestion & lack of good, reliable public transport, & all efforts to improve public transport needs to be supported positively. NDTV had carried out a poll which was aired on the news yesterday. Over 80% of bus users said they were happy with the services as the buses were now taking only 1/3rd the time as previous. However, car owners were generally a dissatisfied lot (as expected) since they have to go through the ordeal of longer waits at signals, congestion, etc. Thus, it does seem that BRTS is beginning to do the job - & it's only a matter of time before many car users start switching over to the faster, more comfortable bus. FYI - Ahmadabad is also preparing it's BRT plans. thanks sri for that summary. and thanks doc for this discussion. first let me get the tangential arguments out of the way. cost and ethics. i have not read your paper yet (congrats btw, i appreciate the amount of work and insight it takes), but based on the argument here, i say the the cost & ethics of a city is more involved than dividing issues and pitching one against the other. (also i am just thinking out by typing, not necessarily a rebuttal.) can we ignore that pubT has health implications, safety implications, social implications, economic implications, environmental implications beyond the sundry pollutions (whose land is it that they are eating up in the sprawls, half the population mumbai and twice the sprawl and still constrained for land?) etc. etc..? mebbe for a young mother spending two hours on the evening commute in a bus stuck in jams poses serious moral problems. how about the bus drivers' stress bcoz they have to keep time against serious odds? and what if under this stress, he rolls over somebody? dont all these have costs? nobody in mumbai rues about the capital costs of the network now. these things are always expensive irrespective of when you build it. the real cost is the cost of not building one. mumbaikar. ofcourse, historically the railway network didnot precede mumbai. but being the oldest network in india, for a considerable time now, mumbai has had a mature network that has provided transit and structure to mumbai. and that translates into mumbaikar's attitude and life style. i myself have pointed out this attitude in other discussions here at praja. but this attitude amongst mumbaikars is only operant in mumbai. beyond it, without structure, it naturally evaporates. ********************************* back to transit issues. the speed i am talking about is the speed required to address the huge difference in time of journey that exists between TBS and private vehicles. and this factor plays heavily on the minds of the people. on road, all vehicles have the same speed. but pubT has to stop and collect people enroute and that adds time in transit and in waiting. it might help to think of frequency instead of speed. how do you respect people's time and let them keep moving at whatever speed? this is not about technological triumphalism and defintely not 'look ma latest ipod' type of approach. not doubting BEST's contribution, merely guessing that the primary mover in mumbai is the rail. just looking at the numbers like 4 million for BEST and 6 million for mumbai's locals does not say much. it will help us understand this better if we can figure out how much of the BEST traffic is long haul and how much is feeder/local. also it will be great if we can figure out how much of mumbai's trips themselves are long haul and how much of it is local. also it will be great if we can figure out what percentage of mumbai's total trips are pubT. (i am trying to collect this statistic pubT/Total for a while now with no successes, for some wierd reason nobody reports that statistic.) if i come across data that says BEST is perhaps highly optimized for the conditions in mumbai i would not be surprised. but i will surprised if there is data that shows that bcoz it works in mumbai it will work in other cities too. perhaps in mumbai they have attained excellent synergies between TBS and mass transit. perhaps the buses run perpendicular to the tracks and perhaps mumbai's map/layout also makes a lot of difference as naveen has been pointing out. that does not mean round cities cannot/donot have traffic valleys. they have and they must be strengthened. the pic below is a quick summary of the scene in blr and the travel patterns of blrigas. (based on a traffic study conducted recently for the nurm.) the average trip length in bangalore is 9kms. range >9kms also is the range in which bangalore's TBS (BMTC) is most active. in the abscence of any support, bmtc is the long haul carrier. Our TBS is making profits and without it there would be no city. sure, but the city is still gasping. We have our issues with how blr's TBS could optimize and would like it perk up. but the stats and trends from around the world say that at > 50pc of the long haul bmtc is peaking even when some of the critical source and sinks are not connected. in a sense as far as long haul is concerned, we have reached peak TBS, unless you add more buses to the already 5000 bus strong fleet. what we are saying is if TBS is doing 70% of the 54% of the total trips(>10 kms), shouldn't it need augmentation and preference? at the same time the critical segment (about 45%) of < 10kms is not serviced by TBS at a significant level. and why cant it do it? my hypothesis is that this is because at at that distance, wait time to travel time ratio is significant. i cant find that image now, but there is an image somewhere out there which makes a telling story - with our roads, we are maxed out. that despite having to do with an under optimized TBS. there is a picture out there showing a flyover on an important artery choked with bmtc buses and cars. this jam is caused due to design issues ofcourse, but you if look at scenes like that on and off line, it is only natural that you wonder, if it is carrying > 50% of traffic on this road, doesn't it demand more respect than this? not saying cyclostyle bogota (which incidently has a geography similar to mumbai) but it seems logical that we have to do something more than status quo and optimizing what exists. i just read your last post. that is exactly we have saying too. it looks like we are all talking about the same things. we have all been ruing the lack of research. the lack of local expertise etc for a while now. lack of localization for a long time now. the tendency to monkey see monkey do. i deleted the rest of my post. Big stones are the principles, the foundation. I cannot explain further but suggest those interested to read Covey's 7 Habits. But it is in keeping with my views on the need to work on educating and changing attitudes of people when it comes to law enforcement (rather than making civil disobedience as a reason for spending on segreation of lanes). If this remains the state of the mind of our masses, we will never become the Great Nation we dream of. We did take on the Denim, did we not, why not the Westerners law abiding road habits too? Delhi IIT's failings are in starting with a solution in mind - The BRT. They have done great injustice in ignoring the TBS models and Bus Priority as used in London / UK. The questions I pose or those posed to me in return by others (including the most recent post by tarlesubba) are the very questions which Delhi IIT should have considered and answered. An example is Mumbai Trains - On record (I have the film from last year) is the CR AGM who takes pride in telling BBC that local season train ticket in Mumbai costs 7paisa per km!! Now you have the answer to why this mode is used so much (no 2 wheeler can compete with this rate and it does not matter whether its a long haul or a short hourney at the price offered). If anything this gives an indication of how important the costing of BRT and the ticketing strategy (never talked about in detail anywhere) is going to be for it to get people switched from their comfortsable 2/3 and 4 wheel drives. Again, is BEST optimised for Mumbai, perhaps yes but that is not a reason for it to be used successfully elsewhere - This actually applies to BRT models - The BRT was optimised for Bagota but does that automatically make it the first choice for all our cities (Delhi IIt seem to think so as this is their only reccomendation across the board). Lack of public consulation is another major issue. Delhi IIT never looked at this (but then it's not in our culture to think about the other first). As a doctor, I learnt a dictum in medical college (it applies to everything) - first diagnose, then treat - Delhi IIT talks of solution by way of BRT but spends very little time looking at causes of problems on our roads. There are no models looking at traffic flows, costings etc and comparing them for different otions (at least not in case of Pune), in fact in Pune there never has been a DPR (detailed project report). The NDTV poll - the questions asked are about BRT - this does not automatically generalise to BRT being the correct model (in fact generalisation is a common fallacy when drawing conclusions from polls and as a medical researcher with some experince I am fairly confident that these polls are actually worthless - unless validated instruments are used for survey). The point is any reasearch that fails to look at confounders is useless. It is for such reasons that Western countries publish reports running in to thousands of pages. Unless we do the basic groundwork, no matter what the solution - BRT / Metro / etc we will face failures. Its like a 1000 peice jigsaw, there is 2 ways of solving it. One random way and the other a systematic way, both will work , question is the first method is at mercy of fate/chance and hence may take a long time or work once as a matter of luck but not again, the latter will offer success on a consistent basis. I am shocked Bangalore has 5000 buses and is in turmoil (especially given that Mumbai has 3.5k+ only). Something is desparately wrong somewhere - often its to do with lack of route rationalisation. Again this is something so basic that just bringing in a few BRT routes may not change anything (I hope I am prooved wrong). Also, yes, I agree for all the work they do, Bangalore buses need to be prioritised - I say why not use the Bus Lane model as I suggest? Try it, enforce it, use it on every road you can. In fact you will end up giving much more priority to buses this way than a few BRT routes alone because many more roads can use this strategy. At fraction of the BRT cost you will reap the very same benefits. Why say NO without trying it, my suggestion of using the UK model will actually be very inexpensive and will work provided public education is done and people are prepared for a simple change. And if the model I suggest fails, reverting back will cost nothing as well. BUT DON'T HOPE FOR PEOPLE TO SWITCH UNLESS YOU MAKE IT CHEAPER THAN USING THEIR 2 WHEELERS OR OTHER PRIVATE VEHICLES. Having discussed population densities above including comparitive stats for Mumbai, London - The question to which we must have an answer is - WHY is it that Bangolore is gridlocked with 5000 buses? What is keeping people in their two wheelers and cars? What will make them switch to PT? Answer to these questions are part of diagnosis of the problem before providing a solution by way of BRT. Someone in Pune suggested BRT buses are full - but obviously, the pilot route was always busy. The Delhi Poll shows customer satisfaction - naturally - for a regular bus users the BRT offers much more - but that does not garuntee conversion of non-PT users to BRT (In Pune some people argue that a posher bus service will be an attraction to all including the IT crowd - I still don't know what such assumptions are based on). We are at a tipping point - can we afford to make costly mistakes (knowing we are poor learners) - I think not, our best hope is to try and ensure we get it as correct as possible the first time round. There have been instances where they have built metros/subways without any inital ridership studies and failed! Delhi metros position is also questionable in this direction as some posts have indicated.. However we are trying to discuss the viability study of BRT here..but we need to keep in mind the cost involved..its a real fraction compared to the LRT/Monorail or the Metro's. Arguably the biggest cost involved is the inconvinience to other road users..if so, then its good as it would move them from their personal vehicles into the busses. We need brute force to get order here..so why not try it? If BRT doesnt work..dismantle it..
if its too successful..translate the routes into a LRT..
if the demand even outgrows LRT, then go for a metro/subway! Experiments can be virtual now a days and cmoputerised models will be better. But the hope that cramping the private veicle owner will convert them in using BRT is misplaced. It (the swithc) will happen better and faster only when coherrent comprehensive service providing value for money is available. Any virtual experiment then should have models of different price structures / profits and what price will attract private car / 2 wheel owners tto ditch their comfort. I do not agree with the approach where BRT as its proposed can be as easy as playing with logo blocks which can be taken apart. If we ever end up like that, we will have wasted massive sums of money. Though we have had economic growth, our per capita figures will remain poor, other areas cannot be neglected at the cost of posh developments. One has to be holistic in how one approaches ''development''. This should include establishing a modern user friendly public transport system based on a rapid transit bus system. 6)   “London United uses several articulated buses. These have been used in Curitiba, Brazil and were mentioned as one of the recommendations in Bangalore by the Bangalore Metro Bus Feasibility study. If he above two changes were implemented, you can imagine that during peak time, one bus driver on an articulated bus could carry several more passengers along the trunk routes in Pune. Bus lanes - Any modern rapid transit system relying on buses uses dedicated bus lanes to solve the problems of congestion. As public transport is likely to get people to their destination faster, they ditch their cars and start using the buses. 10)   With-flow bus lane - Disadvantage: it fails if law enforcement is poor. The fact that Mumbai’s example cannot be used for Pune (& other similar city spreads) has been well acknowledged at the start in your review. Also, the much lower costs of BRTS compared to Metro & other systems has also been acknowledged. Further, you clearly state that traditional bus systems cannot solve Pune’s problems, & in fact recommend Rapid Bus, further quoting the usefulness of Rapid Bus for Curitiba. Finally, you  also accept the usefulness of dedicated bus lanes,  acknowledging that with-flow bus lanes fail where law enforcement is poor. Your question - why not the Westerners law abiding road habits too ? Ans:  Drivers come from all types of backgrounds & quality of drivers will continue to be a major problem in India as the newer recruits typically come from extremely poor rural areas. It might take several decades, if not centuries before all of the billion+ population is educated enough to have the ability to understand that good road manners & patience is necessary & preferable to short-sighted opportunism when driving on streets. Our cities cannot go on waiting for drivers to be disciplined before taking steps to solve the severe traffic congestion problems. Your question - Delhi IIT's failings are in starting with a solution in mind - The BRT. They have done great injustice in ignoring the TBS models and bus Priority as used in London / UK. Ans: DTC was operating TBS earlier with huge subsidies & wide-spread revenue leakage & massive pilferage. Hence,private operators were called in for TBS, but they too have failed since there were several serious accidents & they were termed ‘killer buses’, not to mention wide-spread manipulations in contract awards. In such a scenario, can London be used as a model ? Your observation - Local season train ticket in Mumbai costs 7paisa per km!! Now you ave the answer to why this mode is used so much - costing of BRT  and the ticketing strategy never talked about in detail anywhere. Ans:  Creating exclusive bus orridors, in our opinion is not just to cater to high-end buses, but also for regular low cost buses, which are with cheaper ticket pricing & enjoying the benefits of faster commutes. Thus, this should attract the quality-seeking commuters (who drive cars) as also the ones that use 2-wheelers or buses. Your observation - There are no models looking at traffic flows, costings etc and comparing them for different options (at least not in case of Pune), in fact in Pune there never has been a DPR (detailed project report). Ans: This may be so for Pune, but DPRs have been carried out for Delhi & Ahmadabad BRTS & I’m sure it will also be done if Bangalore takes it up. Your observation - I am shocked Bangalorehas 5000 buses and is in turmoil (especially given that Mumbai has 3.5k+ only). Ans: DTC had the largest fleet of over 14,000 buses, & yet failed. Mumbai’s lower 3.5K fleet is because they serve basically as feeders to rail services, as already observed by Tarlesubba. Ans: A lot of trials have already been done in Bangalore – formal painted bus lanes on existing roads were a failure due to enormous loads of other traffic. Your question - Can we afford to make costly mistakes (knowing we are poor learners) - I think not, our best hope is to try and ensure we get it as correct as possible the first time round. Ans:  BRT isconsidered a low cost option when compared to any other form of fixed guide systems such as LRT/Mono or Metro. The expenses are worth considering the enormous demands & the urgent need to take steps to reduce private vehicle usage, pollution & improve on safety & take care of the welfare of commuters. If I understand correctly, BRT caused the greatest destruction of green cover in Delhi. So, experimentation with BRT is not exactly going to be cheap. When Dr ASJ says that, with 5,000 buses, if Bangalore cannot get its people to rely on PT, the reson has first to be found for that, he has hit the nail on its head. As the co-chairman of BMTC's CCTF, and later as someone closely involved with providing the "Yelli Iddira?" service, I was privy to the ways of BMTC's working, and I am convinced that competition and competition alone can change it. And, competition has to be from the organised sector players, and not the likes of the BLUELINE players. Many people appear to have still not realised that BLUELINE was an arrangement set up by the babu's to make money for themselves in various ways, quite like the maxi-cab/ contract carriage operations in Bangalore. Sri had stated elsewhere that opening up of the sector to organised private sector players could be a sensitive matter, possibly suggesting that we should not be demanding that too loudly currently. On the contrary, I would like to submit that the time for soft-pedalling the issue is long over, and we should all be shouting hoarse from rooftops that it be implemented forthwith. We as citizens owe it to our city. We should build the momentum now, and if the new government does not move on it fast enough, we should go for a PIL. Is BMTC really so bad ? With all due respect - 5000 BMTC buses for a population of 70 lakhs+ handling 26.3 lakh trips (42 % of all trips) is, in my opinion an impressive performance considering that there are no other means of public travel in the city, they operate without any protection or priority, & despite being at the mercy of unrestrained competition by private vehicles on roads & dominated by competitive onslaughts from employer owned /organized buses, vans, jeeps, SUVs & what have you. I am one for privatization too, but such options need to be weighed carefully as bus privatization in this country has not had a good record since they have failed to attract responsible players (examples are Delhi, Cochin, Mangalore, etc where buses are highly unsafe, rash & a menace on the roads) - this may not change for sometime to come as public transport does not make for a great buisness proposition. The problem for bangalore is that conventional buses alone will not suffice since they will start becoming more & more inefficient with higher traffic volumes & start losing out. Besides, growth is too high & the no. of trips will keep increasing year after year. Additionally, for bangalore's neo-rich IT employees & other well-to-do sections, quality & exclusivity concerns have become a factor in public transportation - this explains the success of premier AC vajra services, now followed by suvarna services. All these are well documented in the CTTP report as also in various other transport studies, etc. When we say BRT, it does not mean cutting down trees, but providing priority of passage whereever possible, typically at signal intersections & on roads which are wide enough to allow for exclusive lanes - Indiranagar to EC is one candidate corridor where buses can run in mixed conditions on 100-ft road, exclusive lanes on IRR & Hosur road, etc. ASJ has not been advocating privatization, but painted /marked bus lanes without any physical seperation to substitute for BRT without incurring any expenses - this might work in Europe, but certainly not in Indian cities as enforcement would be quite impossible. In fact, I have posted pictures earlier that show that this is a problem even in better developed country cities (Sydney, Sao-Paulo). Today, I was travelling in a Volvo between Mysore and Bangalore and was having a chat with the driver. Driver was telling the same thing that without a dedicated lane with no other vehicle entering the bus lane, it is very difficult to drive the buses in the city. People drive chaotically especially 2 wheelers as well as pedestrains cross thee road without seeing what is coming in the direction of vehicles coming.If some accident takes place, people will start throwing the stones at the buses and beat the driver. And he was expressing it has become very risky to drive in city conditions and was speaking about the Poona and Delhi BRTS. In India, where people do not follow any lane discipline, marking the lane as Bus Lane will never work out. Even with physical seperation also in Delhi, people took their bikes into the Bus Lane. If people would have had so much of discipline in driving, we wouldn't have had this menance. Physical seperation that too will high welded structures like the ones in front of Bangalore city Railway Station is what we need. It seems you pluck excerpts from my review only when it suits you. Its a review and has to be looked at as a whole not in parts. The corridor argument is in favour of trains not BRT. Support for BRT is in the context of then passionate lobby of Sky bus systme proponants. What my review aims to actually suggest, but seems to have been overlooked by you, is my view on getting basics right first, then other stuff (be it lanes as I suggest or BRT). In fact I don't favour Metro as well - my argument being that only when you have a well established TBS with sound fundamentals will any other development be appropriately informed. What my review does not make amply clear is that I like the British model more than BRT as proposed currently - this is a position evolved through ongoing research of facts as they stand on how BRT projects are being handled in India. I will continue to say, costlier projects because we cannot enforce law is a bad argument and faulty in its logic. You may call is a nescessary evil but not logical. I keep asking why Mumbai manages to enforce law better (forget the West for a moment) - a ricksahw does not dare enter south -central Mumbai where they re banned from. The difference is visible, but it says a lot about WILL to enforce law. Being a psychiatrist, I can tell you humans are same everywhere. Western society is not any more ethical, they are forced to be that way. The approach is simple - educate first, reward good behaviour and punish the bad behaviour. The fact that Highway code is mandatory reading without which one cannot survive is borne by it being the 15th best seller in 2007 (each year it outsells many books). Thus the BRT driver who is frustrated by chaotic drivers - the answer is not handful of BRT but how we reform road behaviour. Again, like everything else, I argue for basics first. Sunder committee gets closer but our Nation 60 years on still does not have a Highway code, a theory test and a reformed practical test backed with law enforcement is needed. A bus based transport where basics are strong in all respects - route rationalisation, frequency rationalisation, a business model that offers competitive tickets. Bus lanes as I suggest - simply because they are the next easiest step, cheap and not much to loose from. Why not Pilot one or two when it will do no harm. At least point 1 above should be satisfied - only then can BRT as proposed by Delhi IIT will work. This too will need law enforcement - no one can garuntee that other vehicels will not ply on these routes, neither can anyone garuntee that shanties will not develop on the rather lovely / homely bus stops. Demand management is crucial - either Singapore style or ensuring that migration patterns change. Mumbai for example even if and when it gets a Metro by 2020 - the 10,000 migrants per day rate make no system viable. In general it is better to have some data if you want to file a PIL or any sort of petition in court (my wife - with some help from me- won a court case against a government body and so I have some experience). a. What data suggests that BMTC is not upto the mark? In what areas are they not upto the mark? Have any independent customer surveys been done? They have plans to increase their bus fleet to 10000 in 3 years. Do you still feel that they cannot meet customer needs? Why? b. What data suggests that people on cars and bikes will move to buses even if the private transport comes in? Has any independent survey been done? c. What regulation mechanism do you have in mind that will ensure safety. We cannot compare airline pilots and bus drivers. d. Has any company evinced interest in this? What are their credentials? e. Real estate could be a big investment in this. Bus parking, depots, maintenance, etc. BMTC has an advantage on this front. How will a private company compete if land goes at 5crores an acre (I guess the land is an investment and is not money down the drain). f. Have you taken this up with the MLAs and ministers? The courts have recently taken a stand that their job is not to legislate but to ensure that existing laws are followed. BMTC should really have no problem. They don't really stand to lose jobs or money as they carry less than half the total potential. BSNL did not shut down after private players came in. But might makes right and we need to keep that in mind. I must say I am an outsider but then it gives me a different perspective and it up to others to agree or disagree. I wonder why 10,000 buses, how has this number been calculated, where will they keep them, how will they maintain them, etc needs answering. If Mumbai had 3.5 k buses and carry 4+ million passenger trips and Bangalore already has 5000, why double them in 3 years? Its fine as long as the figures and models show how the system will work. For a city like Pune where I can on paper show (though I won't as its PMTs job) that 1000 buses could do well - I must say Bangalore citizens are lucky - but that still does not satisfy my questions. Yes, PIL / RTI - get the stats first. D-IIT and PMC/PMT in Pune have kept figures a secret (if there were any). Now back to BRT - here is a check list of what stood out in Bagota model, someone could do an exercise for their respective cities and make their minds up. Now at least with Pune, BRT is not a proactive but a reactive measure. Land use is not planned to ensure growth along BRT, BRT is being introduced on any patch within the city (and they have almost a dozen) where roads of 100+ feet are possible - in short it may have nothing to do with (at least some routes) whether the people will travel on these routes as they may have nothing to do with their usual destinations. NGOs have asked for data but got nothing. Crossways are the zebra's (currently we know how many people respect them) not near the bus stops - at least 3-4 have died - disabled and infirm don't figure in the overall vision at all and the bus stops are awful (despite spending money). Pre-ticketing is a distant dream, pricing strategy no one has heard of, and brand new buses have no facility to be washed, left to gather dust and eventually rust, they look 5 years old in one years time. Ticketing I keep touching up on, Pune has no business model. Bagota uses 10 or so pvt companies. Pune already does this, it has 800 buses of their own, 200 are contracted and sub-contracted, untrained drivers and staff included. In contrast Bagota and UK use private operators who are heavily regulated by the authorities. Penalties are levied and licences cancelled / not renewed if benchmark standards are not met with. So long as Bangalore or any other city keeps some of these things in mind - they may do well, but not otherwise. The Ministry of Petroleum & Natural Gas, Government of India, has displayed a report on 'Bus Transport Systems' on its website (www.petroleum.nic.in/ch_1...), salient excerpts from which are re-produced below: 1) Promoting public bus transport should be viewed as a priority in any strategy to improve urban road traffic and in controlling air pollution from automobiles. The country can ill afford the luxury of unchecked growth of private vehicle population. The costs to the country's economy in terms of higher fuel consumption and to the society in terms of health are significant enough to warrant urgent action. 2) Clearly, there is a strong case for promoting private enterprise in meeting transport needs in urban areas. 3) An aspect of public policy that impacts on provision and expansion of public transport either by state owned utilities or by private entrepreneurs, relates to the unviable fare structures imposed by the authority. 4) With improved efficiency, the fare structure can continue to remain low while still providing for overall viability of the operations. The 'policy' enunciated in the first posting in my blog http://traffic-transport-... bases itself on these recommendations. Yes, for a successful PIL, a lot of inputs are required. I have already collected a lot, which I can perhaps share with the PRAJA. Further, I don't know how many of the PRAJA members have personally used, or atleast interacted with regular users of BMTC services. If they attempt that, they will realise how much easier life can be if BMTC can be made more customer-friendly than it presently is. I have attempted many things, and am now quite convinced that only effective competition can bring about any real change. And, the urgency of the matter is that it is because of the incapacity and inefficiency of the monopoly BMTC that the percentage of people using bus services has stagnated at some 50% or below over so many years. This has to rise steadily to some 80% (atleast for commuting) if we are to get out of our present grid-locked status. Should we still continue to be soft-pedalling this issue? I was just thinking of BRT routes in Bangalore with wider roads. Wherever wider roads are present, BRT should be done irrespective of whatever stats and debates may come across to stop it!!. Painting, privatization etc will be of second thought. 4. As Srivathsa mentioned to EC from Koramangala on the BETL. 5. Domlur to Richmod Circle and again from Woodlands hotel to Corporation Circle. 7. Malleshwaram Sampige Road ? Perfect..as the need goes BRT is for high density routes and most of the above qualify for that.. Does BRT mean all BMTC busses will move in those set tracks? In that case there would also be order in traffic where the 2 wheeler rider is not scared of the busses and the bus drivers need not be pestered about the unruly cars and bikes! In addition, some simple steps may help - An example is how in Suth Mumbai along the Girgaum road (very narrow, only one lane on either side), they have a half mile stretch where only buses are allowed from one side - effectively travel during one of the two peak times is easier at the cost of other motorised vehicles which take a detour along Marine Lines road (but as bus only access is restricted in one direction, the other direction is available after detoru for those wishing to get in to the off-lanes along this road). This has worked well for last 20 years and an example of how simple methods can give significant gains (no road works, no expense). The whole is more than the sum of its parts. Small changes here and there when planned will come together to fit well with other initiatives to give an over-arching effective model. Perhaps it was presumptious of me to suggest that PRAJA members may not be using, or are not in regular touch with users of BMTC's services - my apologies. I recall - was it Sreevatsa - who had mentioned sometime back that his mother patronises BMTC services, even today. Having said that, however, I expect members will not fault me when I say that a majority of the regular users will be generally happy with some marginal improvements. As the car-user co-Chairman of BMTC's CCTF, presiding over meetings of bus-user members, I sensed this quite clearly. The BMTC management know this fully well, and are therefore content dishing out some sops to the 'aam aadmi' now and then. In fact, the 'report cards' periodically published by the Public Affairs Centre, Bangalore, on the satisfaction levels of users of various government services, gave a rating of some 80% or so to BMTC, highest compared to all the other services in the state. The BMTC management went about tom-tomming these figures in every public fora, in effect asking the likes of me to just shut up. But, like I have stated earlier, if Bangalore has to get out of its present grid-locked situation and continue that way, bus trip levels overall have to increase to 80% or above from the present 50% or below, meaning you and I have to start using bus services, atleast for our regular commuting. And, for that to happen, you will appreciate marginal improvements (rather gimmicks) will not do. There has to be innovative thinking, which government organisations are generally not capable of, particularly when they enjoy a mnopoly status. Indeed Doctor - how so simple! The essence of Dr Madhav Badami's talk was also 'back to basics'. I would like to recommend to PRAJA to confer a Doctorate on Dr ASJ on "transport syatems & management"
I think you refer to Vasanth's family who patronises BMTC a lot. My mother used to travel a lot by BMTC but not much anymore. I myself use BMTC 3-4 times a month. I take the bus from outside HAL Airport if I have just a small bag with me to Richmond Road. 335E is frequent and convenient and more comfortable than any auto or KSTDC taxi (I find it filled with a lot of people working at ITPL). Other than that I take MBS11 sometimes from my house to Richmond Circle. Oil today hit a new record of $122/barrel and its impact is going to felt by all of us sooner or later. If the subsidies continue, then in terms of reduced government spending in some other area - health/education. Public transport is only sustainable option for us. I know some people think that technology will save us. It certainly has not prevented oil from going up 10x in the last 10 years. Better to be prepared for the worst case. some general themes that i am itching to get my hands on. matching the complexity of the solutions to the complexity of the problems is critical. simplicity, while being extremely beautiful and desirable, is very very expensive, especially the useful and sustainable kind. chaos and disorganization is not a virtue. you cant solve certain problems simultaneously for space and time complexity. in the long run, tackling space complexity is the most critical of issues, especially for a country of > 1 billion people. 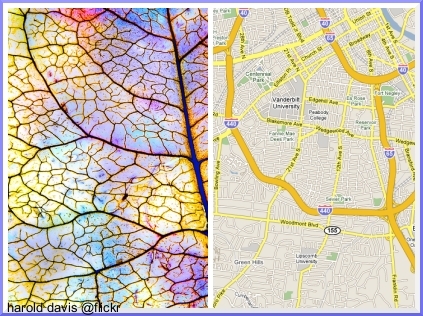 cities are simultaneously green and gray. they are green in the sense that they aggregate & localize gray and thus limit the spread of gray. holy grail is mumbai. you cannot tackle space complexity without connectivity. western line was built at a time the entire pop of mumbai was ,perhaps, not 2.1 million. today that line alone carries 2.1 million pax/day. highly efficient, uber dense cities is very very green. in optimization, there are local optimas and then there are global optimas. if you have a limited/contrained horizon then you will keep seeking local optimas. now in seeking these local optimas you might eventually hit the global optima, but the total costs are more likely to be more. Sreevatsa - a correction! Compelling reason - not for BMTC, but for better public transport services, which let me insist once again can come about only through effective competition. Delhi taking cue from Doc? A TOI report seemed to suggest that the Delhi BRT authorities are reading this blog, and have decided to try out Doc ASJ's suggestion of just leaving the lanes painted and removing the barricades. Also, the bus lanes are to shift to the left edge. The bicycle lanes will, of course, be beyond these. This is more or less abandonment of BRT, though they refuse to admit it. I doubt anyone will want to listen to my rants, certainly a handful will have me hanged for my views (metaphorically speaking). Its not just Delhi but even Pune (with a new set of consultants) looking at peripheral lanes. If this is yet another ill-planned knee jerk reaction, be ready for chaos. Whatever the system, we have identified above the ABCD of it and jumping to C or D will meet failure. Segregated or not, central or peripheral, the basic bus service has to be good and thought spared for working how and why people may shift to using PT and give up their cars and two wheel drives. No one talks of this last issue, worse they bluff by saying a posh bus will pull crowds - London's 38% increase in ridership happened not because of bus lanes or articulated buses or pre-boarding ticket system, they changed the rules of the game completely by first taking away free parking and then introducing congestion charging. Will this happen in India? Do we have a single politician who can take bold non-popular decisions, can any government think of taking away petrol subsidy (offering to only buses and goods carriers) without toppling itself? Roots of this problem go very deep and without strong leadership we will always be in trouble. ASJ - You have supporter ! 4. Basiv amenities at Bus Stops/Transit center like Toilets, Washrooms, Waiting area and food corners etc. Take the example of Bus services run by Public Sector Units starting in Late 60s or Early 70s in B'lore. Each one of these units employed from 5k-10k employees. HAL employed more about 20k. Did any road get clogged with such huge employee travel and migrants influx from all over India? No. Hardly there was any traffic blockages felt. You have suggested an excellent idea of Tax-free fuel for the public transport that should make the fares cheaper and profitable venture for the agency who runs Public transport. Agreed, we also need to account for Trucks/lorries, Auto/Taxi, Cars/Two-wheelers etc. This also requires for signal less junctions, dedicated corridors for trucks, their parking ares with basic amenities and short time lodging, Vehicle towing system and emergency response system to save the lives and clear the accidents. The high volume of turning traffic interferes with the through movement of bus traffic if the bus uses the same curb-side lane as the turning vehicles. Unfortunately they don't say that a curb side bus lane can be implemented on many more roads (and hence offer better overall mobility) and is much cheaper, in fact London uses bus lanes on every 2 lane road (roads just like SB road). I have already shared with the group my diagramatic representation of how to reduce interference from side lanes. They also have not realised the concept of red routes - essentially any road can be deemed as 'No Stopping' (forget parking) route - indeed for the road that size it could have been worth consideration. Buses using the curb-side lane are forced to stop at every red signal with other vehicles reducing throughput, therefore central bus lanes are preferred. If they had seen the Bus Priority Resource pack developed by DOT, UK they would have found an answer to this. Again I have posted a summary of this Resource before. Have they not heard the term Pedestrian Refuge ? This is a money saving argument to get away from building crossways (or an equally desparate attempt to build BRT on roads without adequate width for incorporating crossways). In fact by virtue of making pedestrians mingle at the junction, all traffic lights have to incorporate this and hence reduce speed of travel. Too many loop holes in what should have been an expert document. Here is a PDF with google satellite images showing how peripheral bus lanes can be given priority when approaching a bottle neck (essentially the principle can be used on approach at any junction). Using smart technology the signals change to give priority to the bus when its approach is picked up by an infra-red signal. The road towards the left of the picture is 3+3 lanes but has developments on either side making any consideration for segregated lanes no an option, yet they have managed to give the buses a priority.